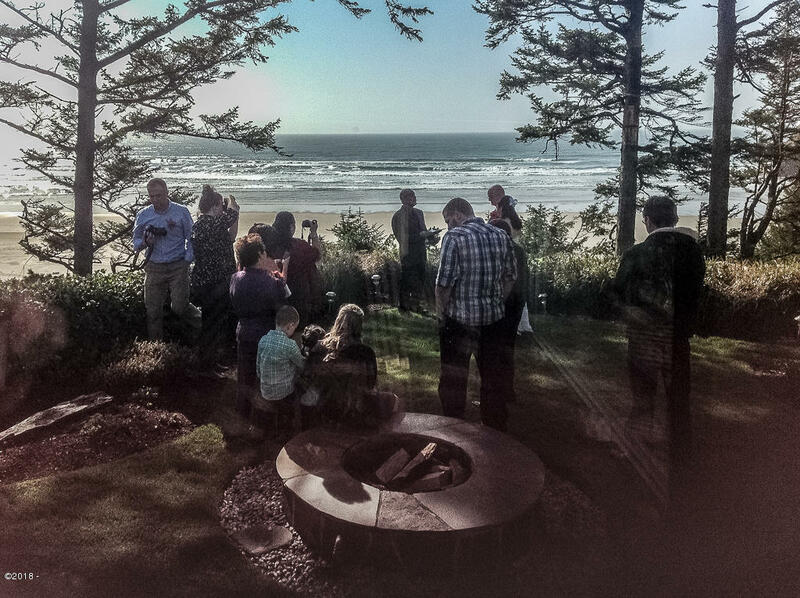 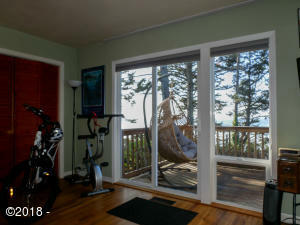 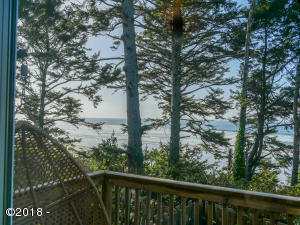 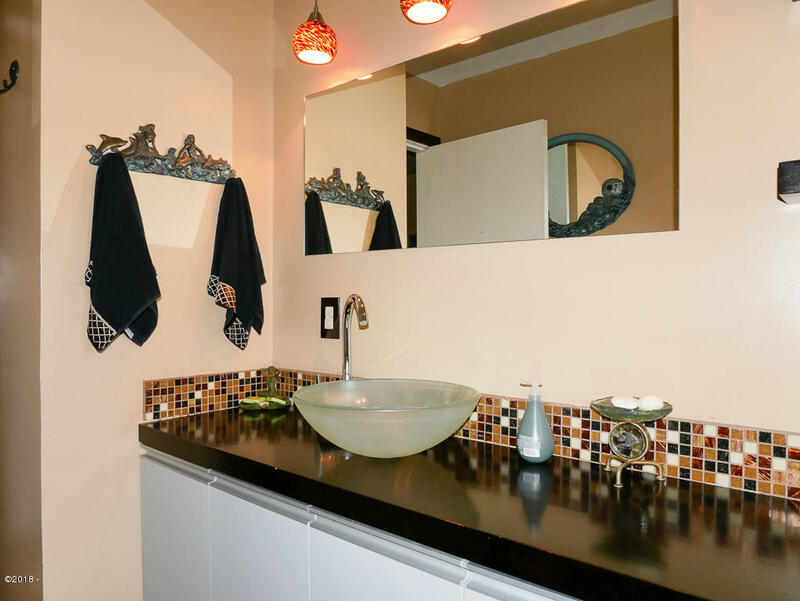 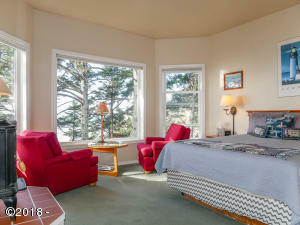 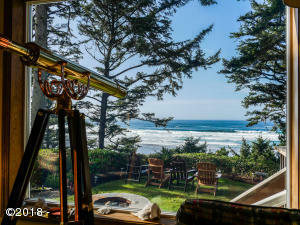 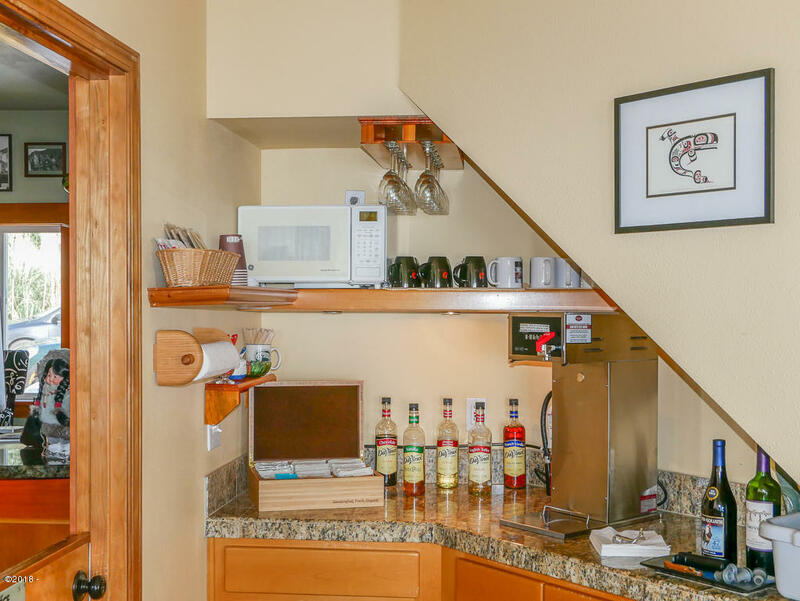 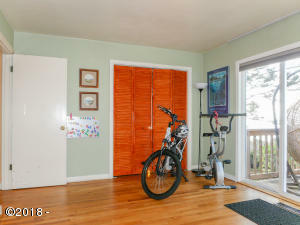 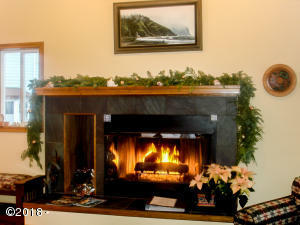 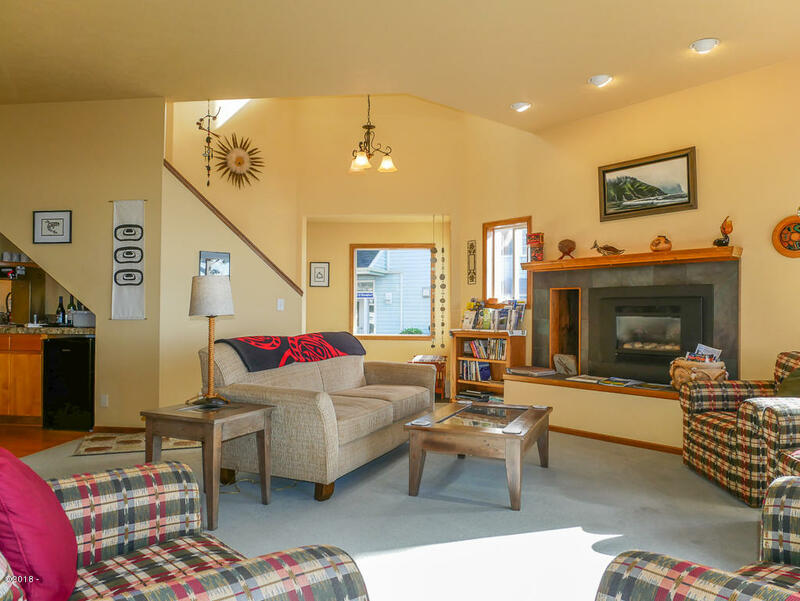 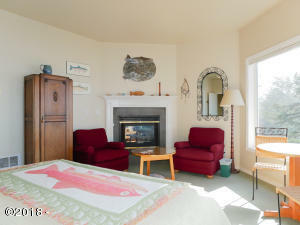 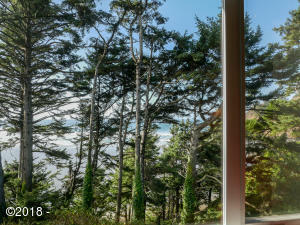 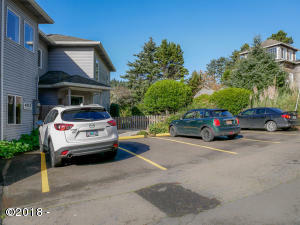 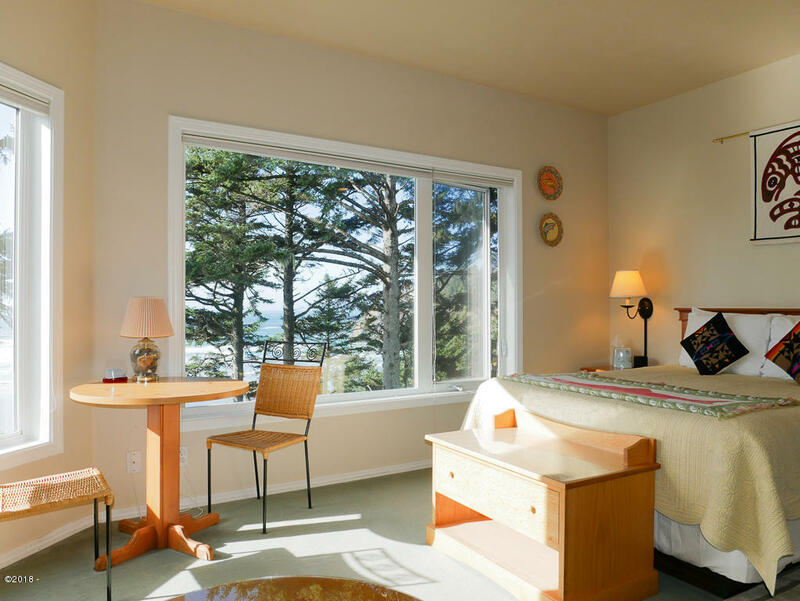 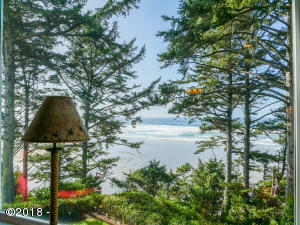 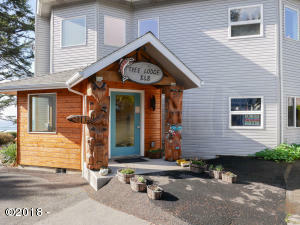 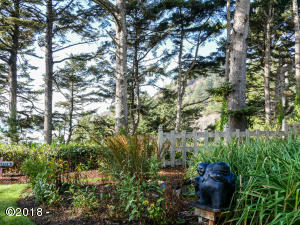 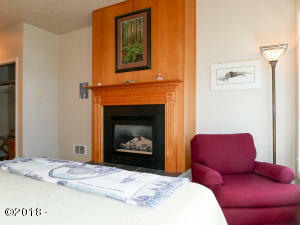 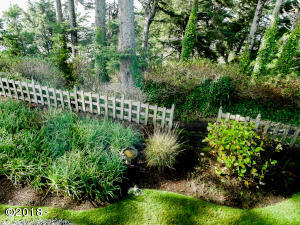 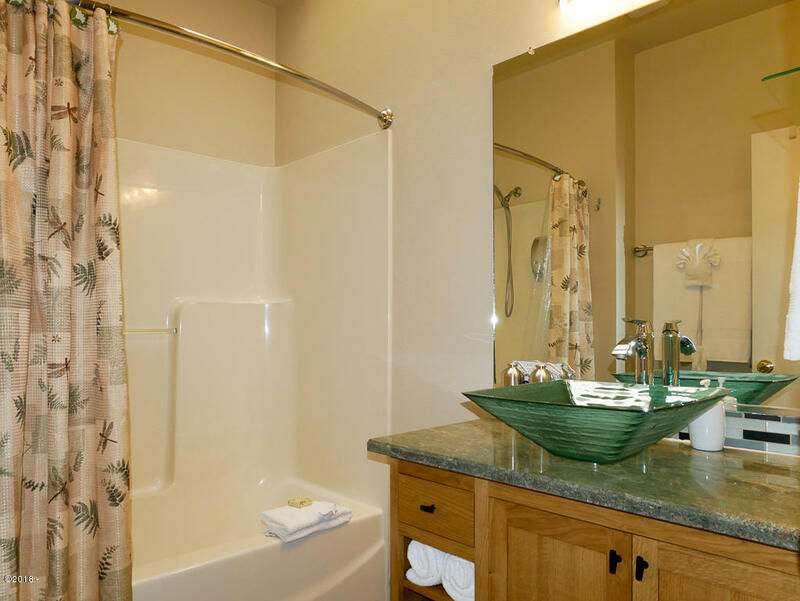 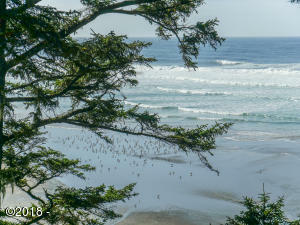 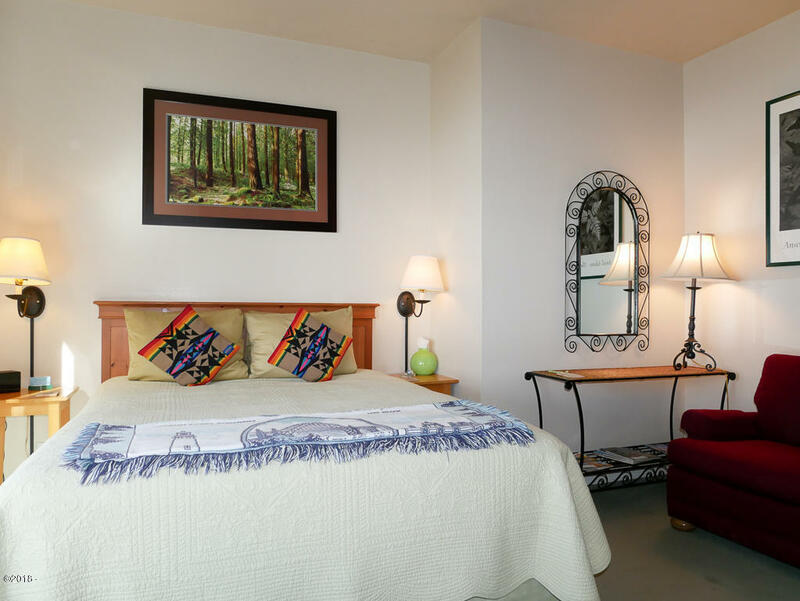 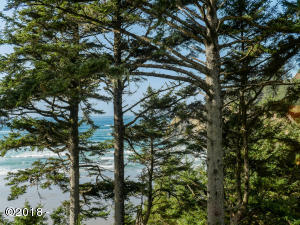 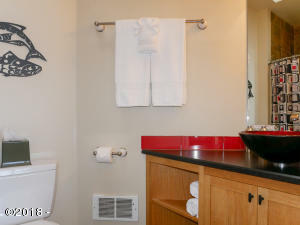 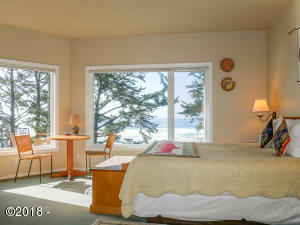 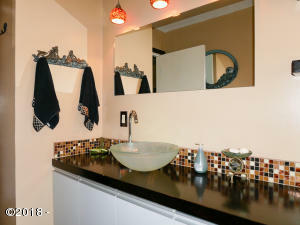 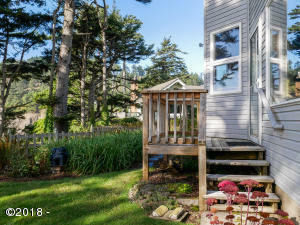 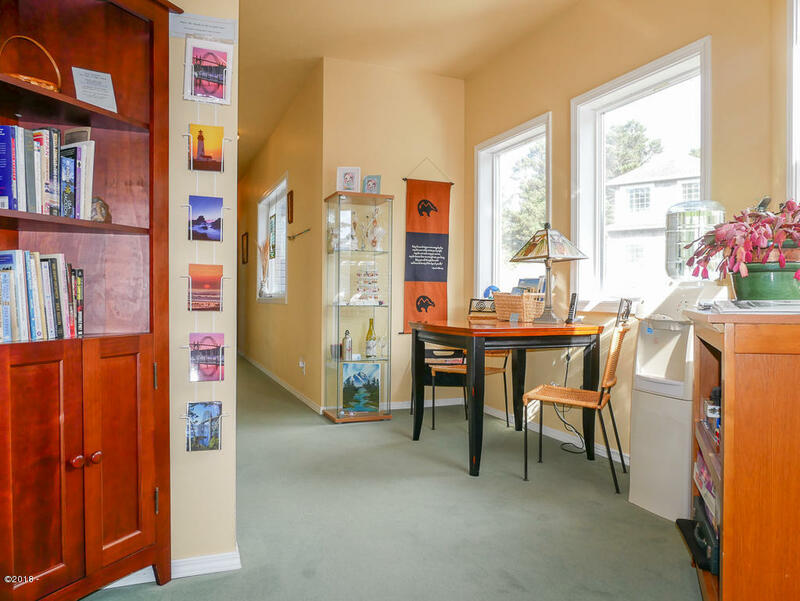 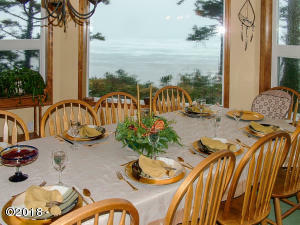 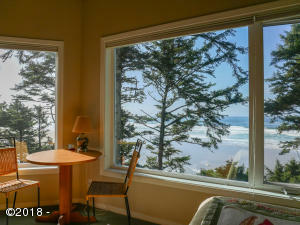 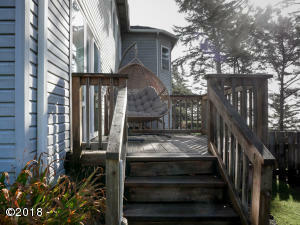 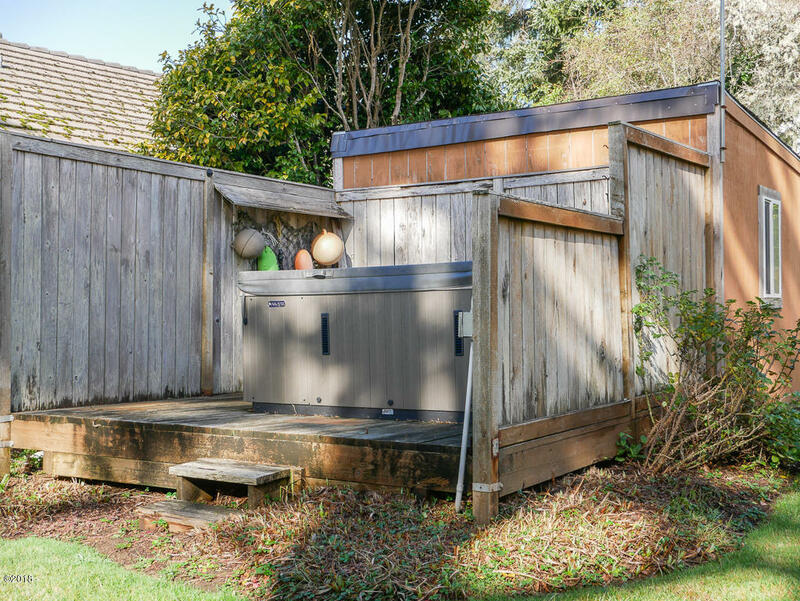 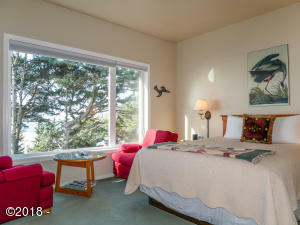 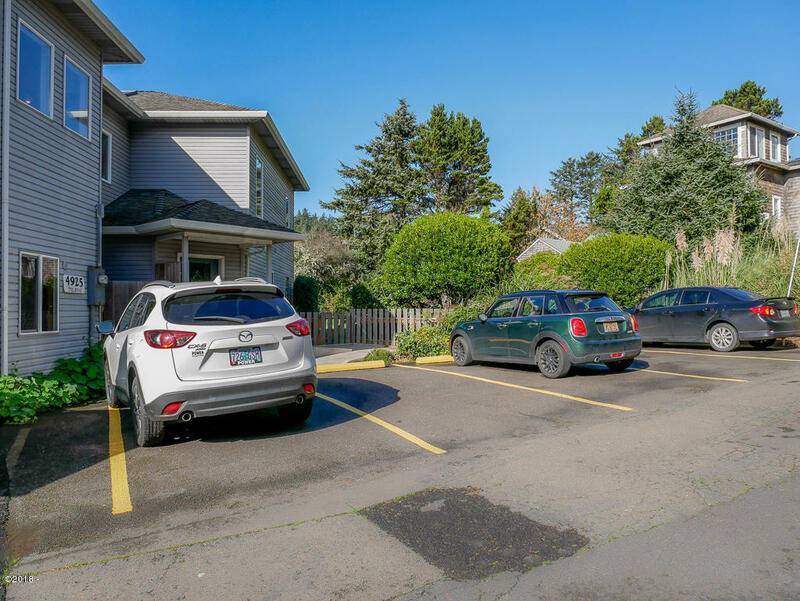 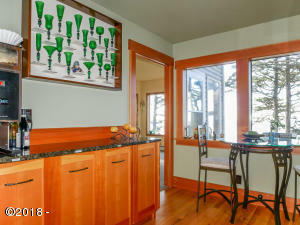 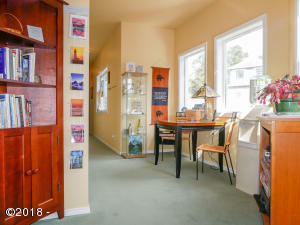 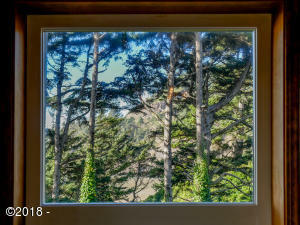 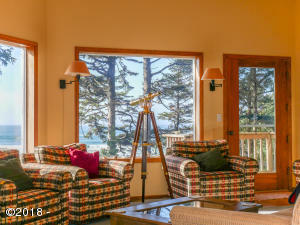 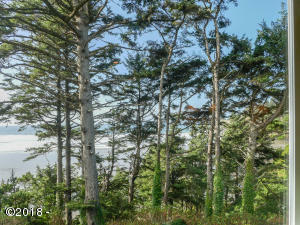 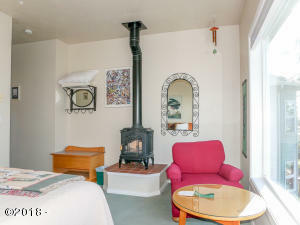 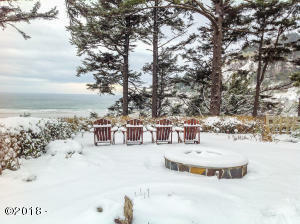 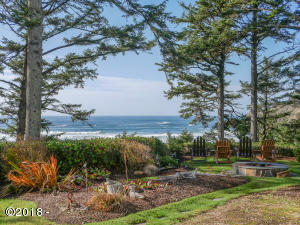 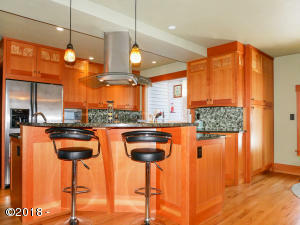 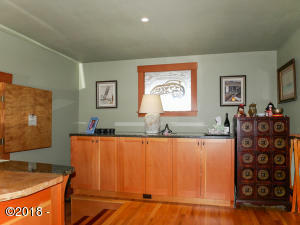 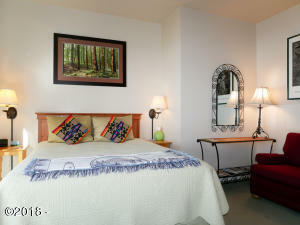 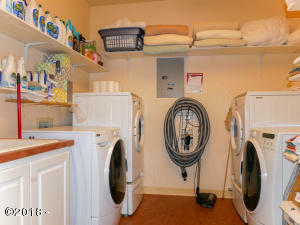 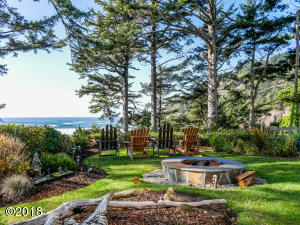 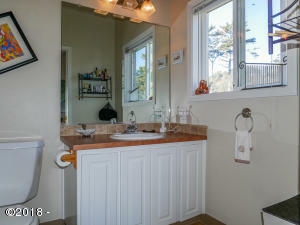 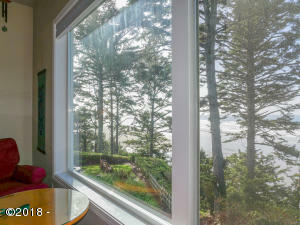 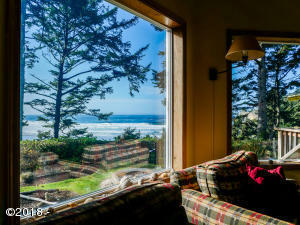 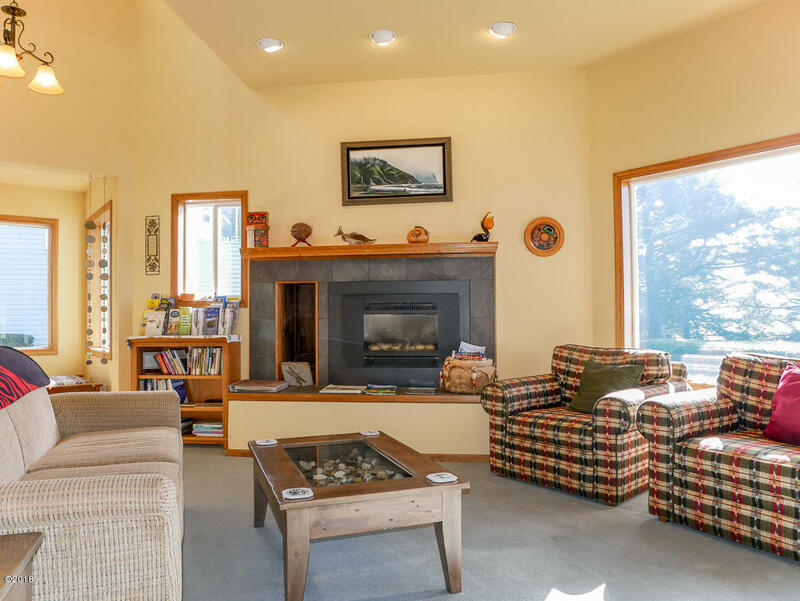 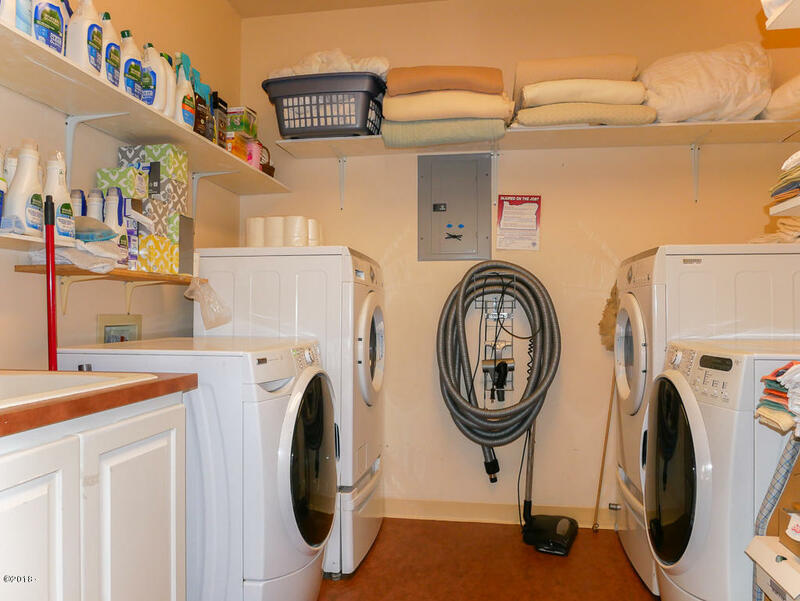 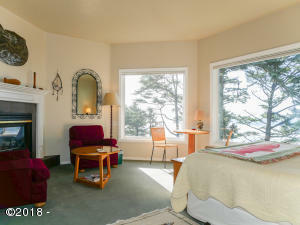 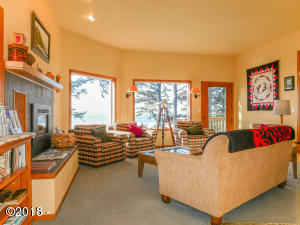 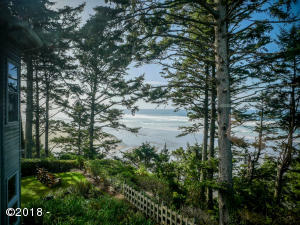 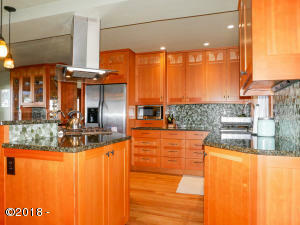 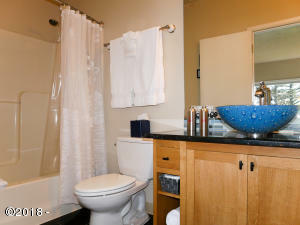 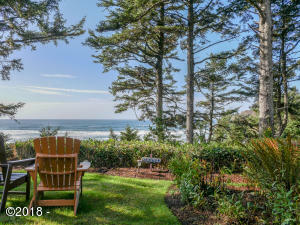 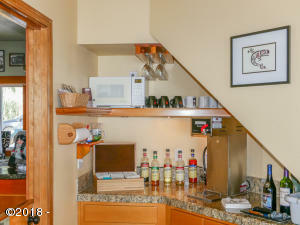 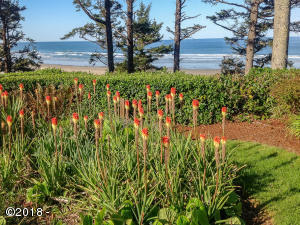 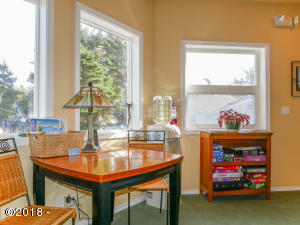 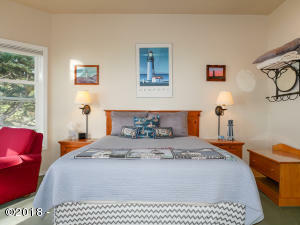 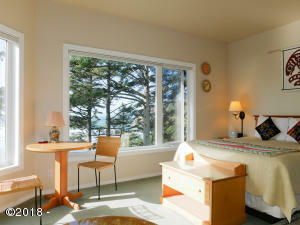 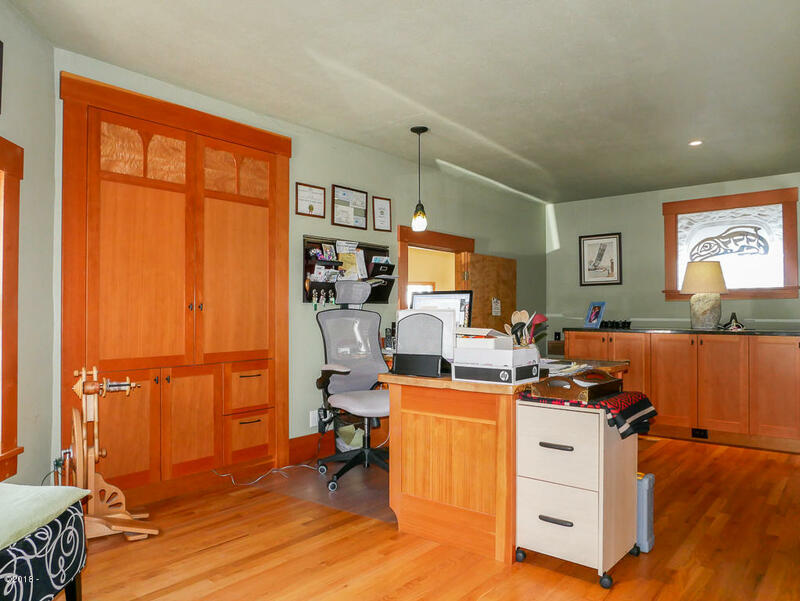 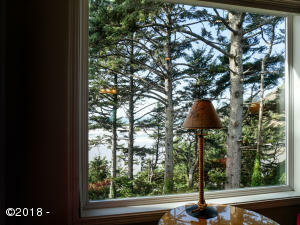 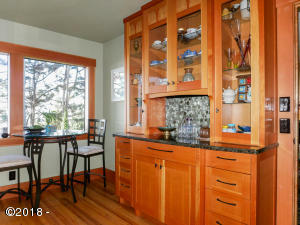 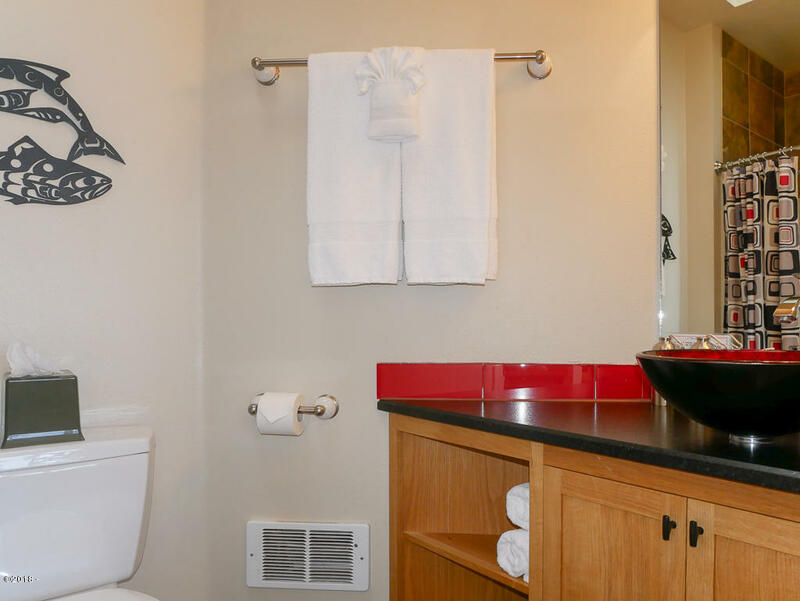 Tyee Lodge is located in the heart of the Central Oregon Coast in the charming community of Newport. 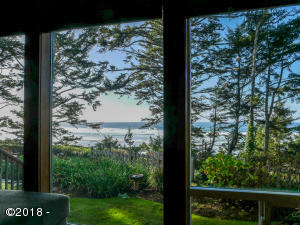 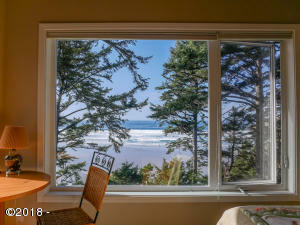 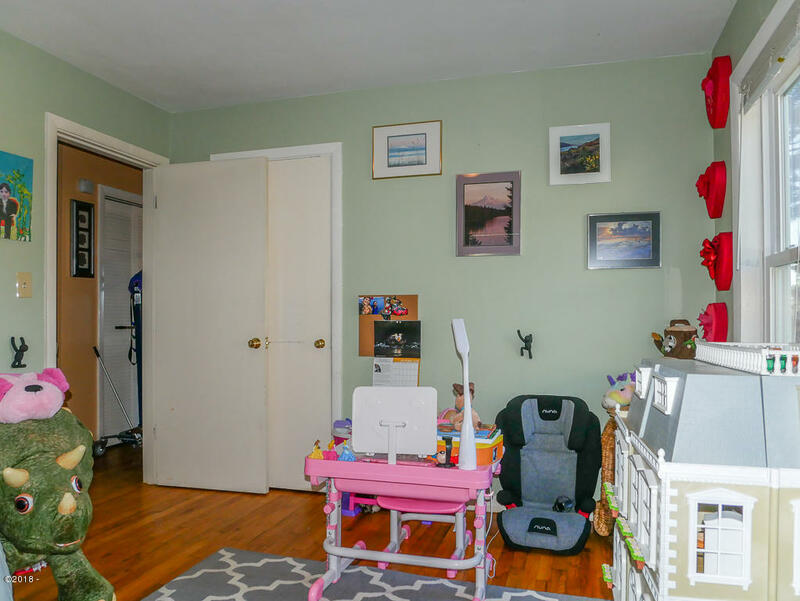 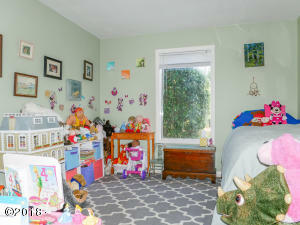 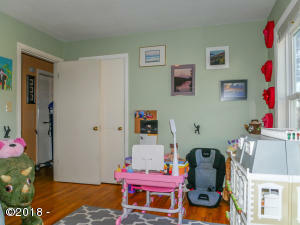 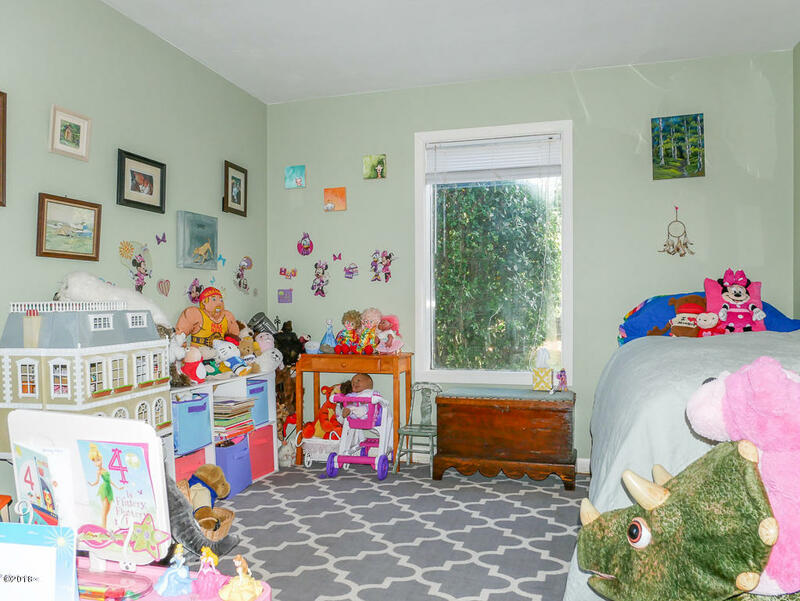 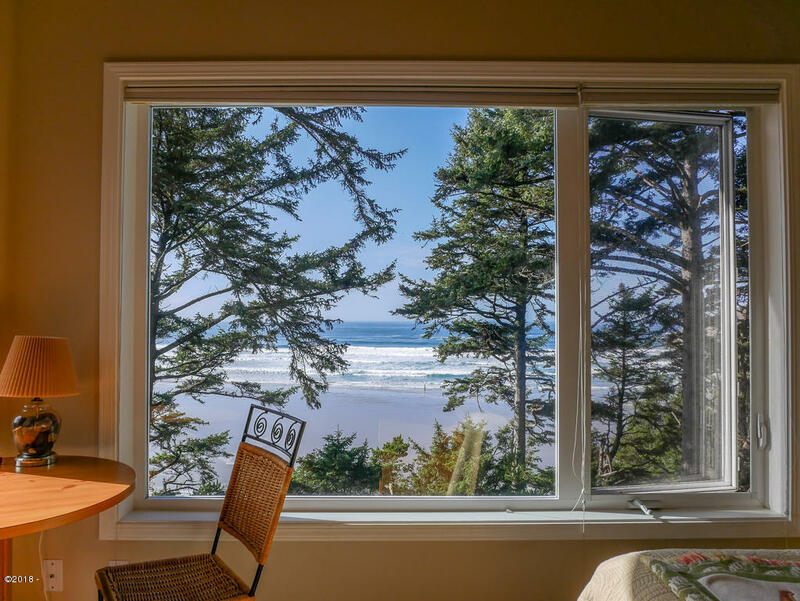 Every room has an ocean view! 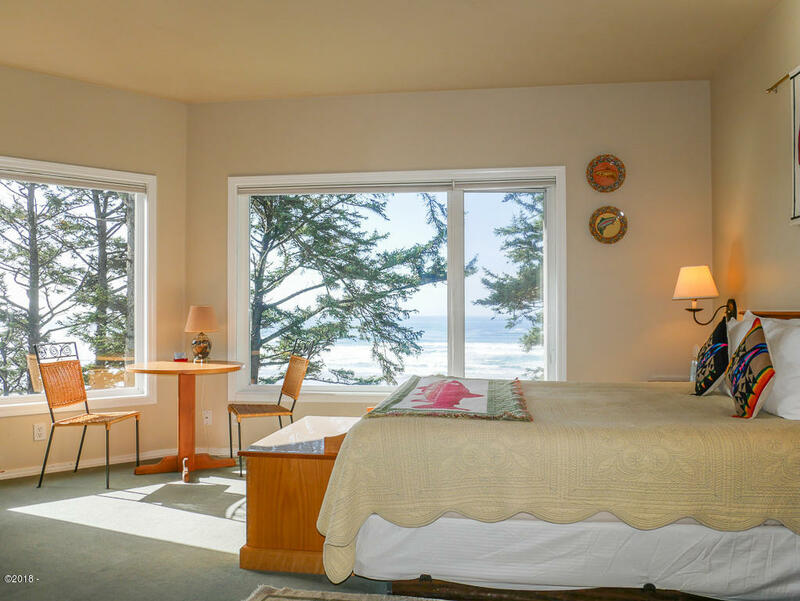 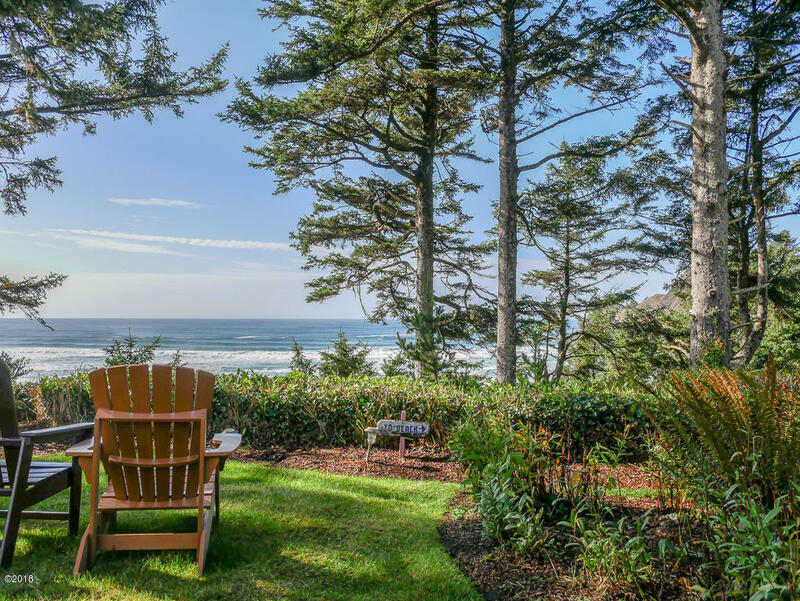 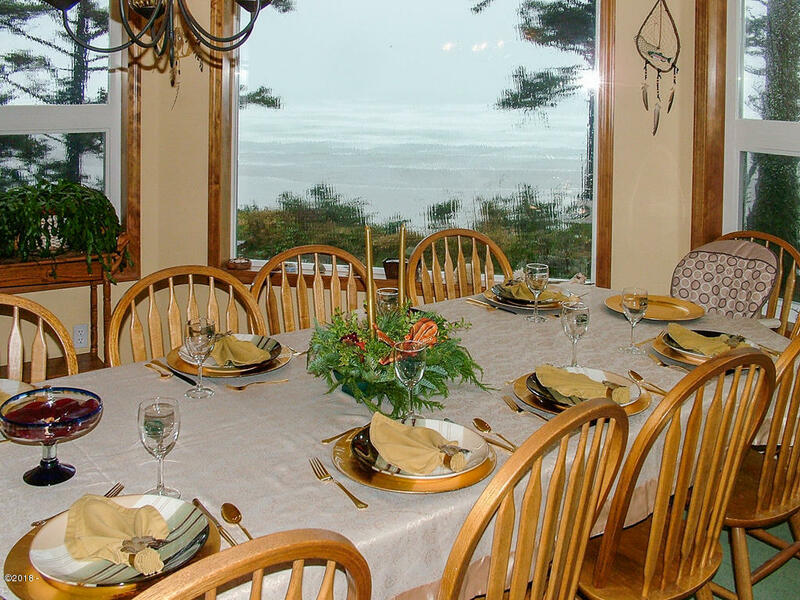 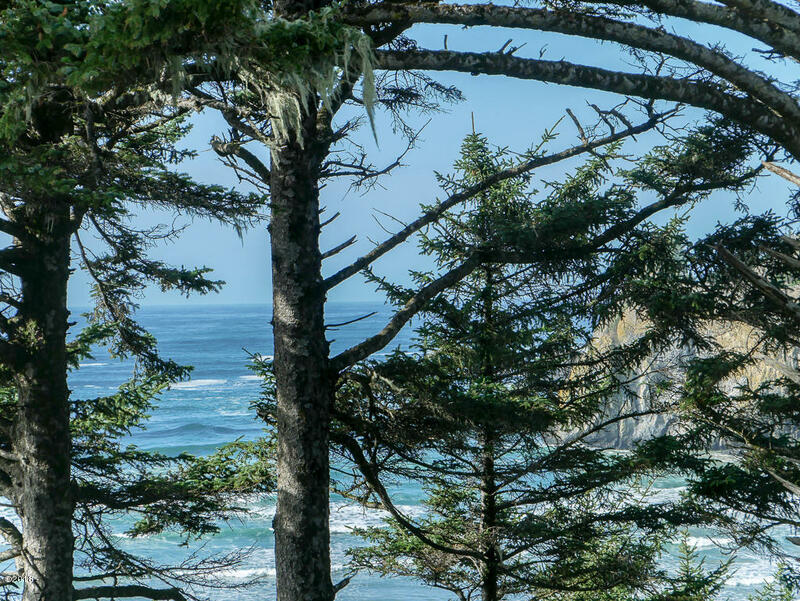 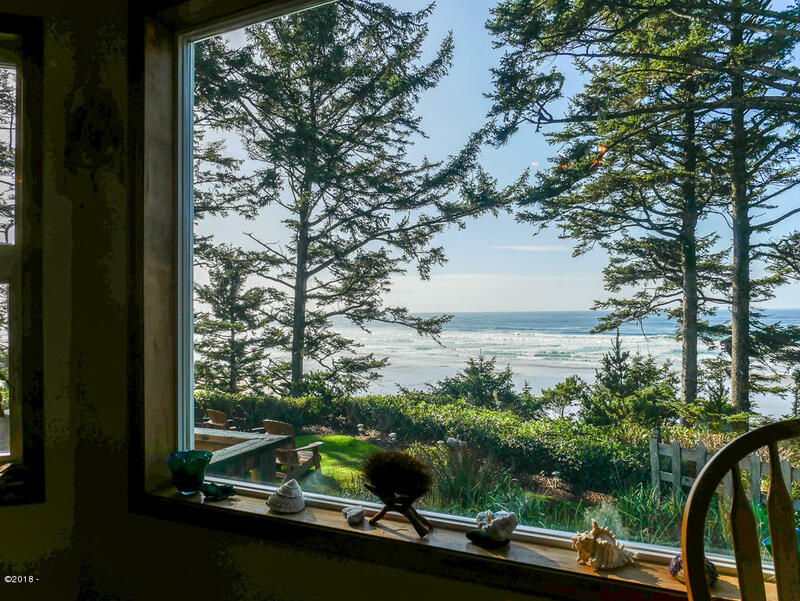 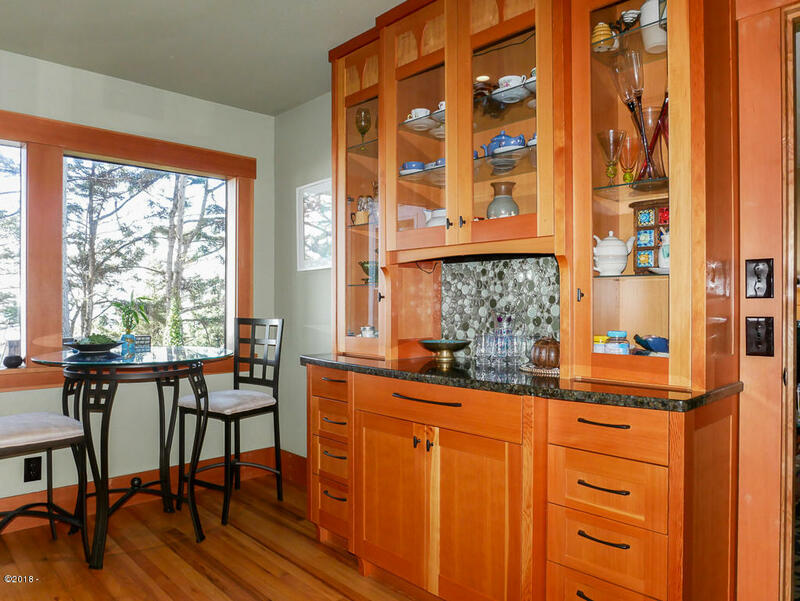 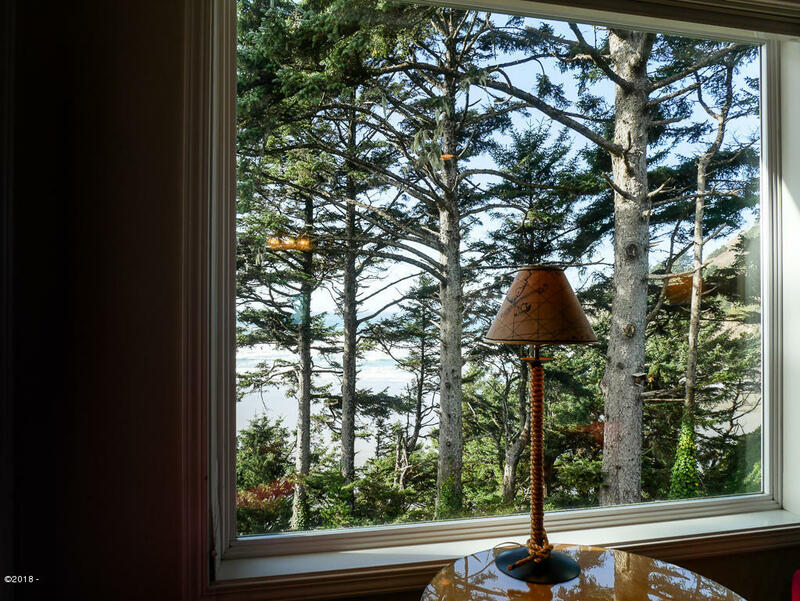 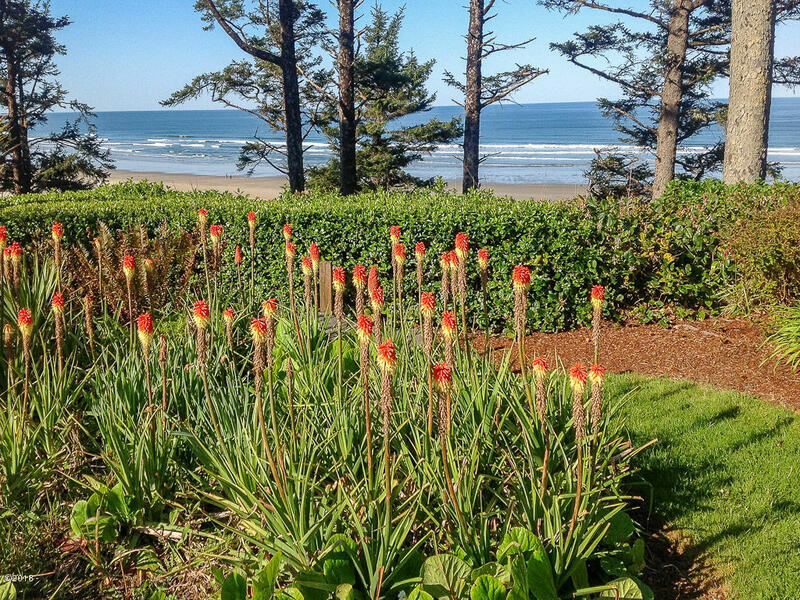 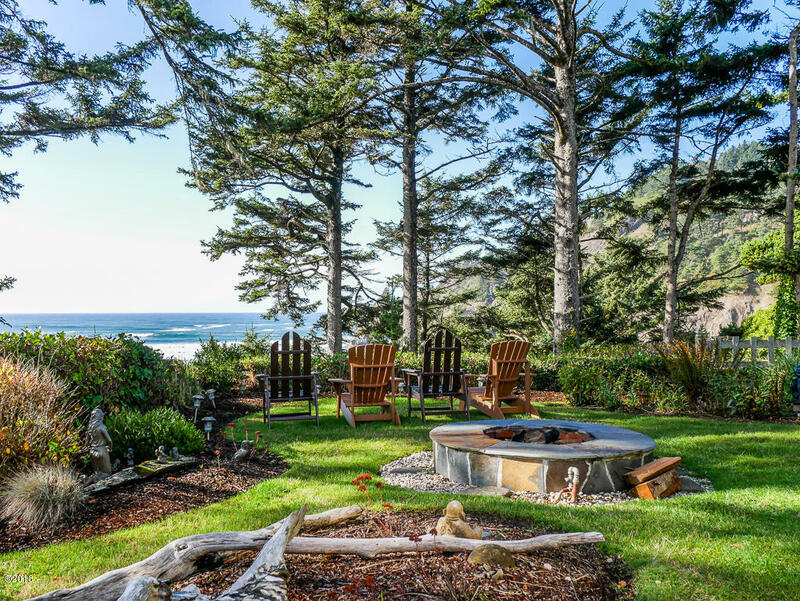 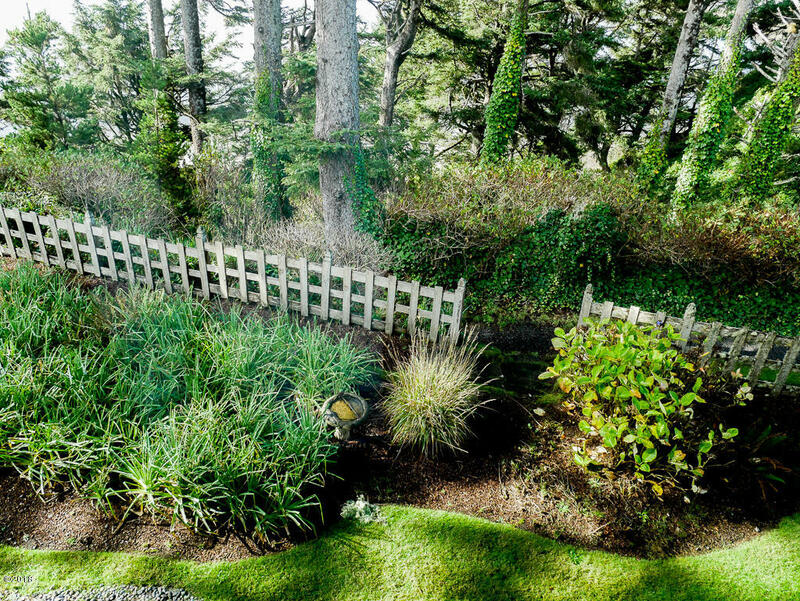 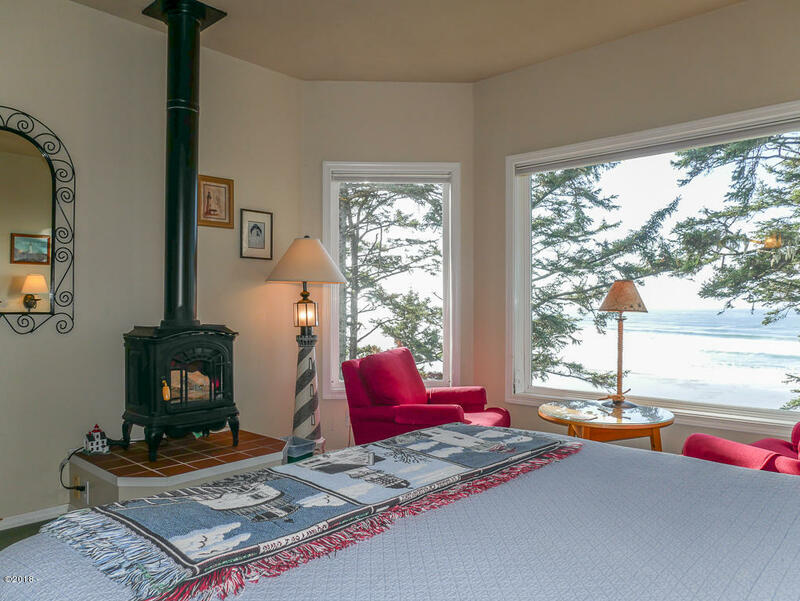 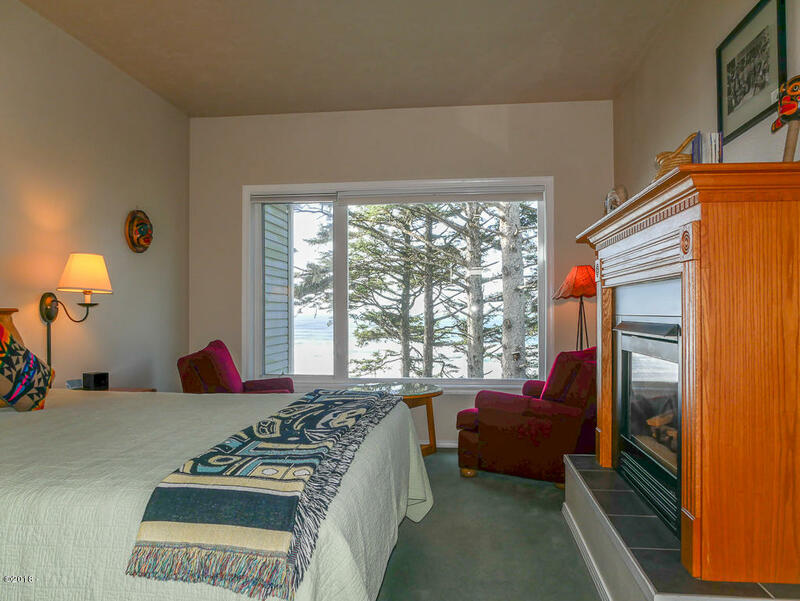 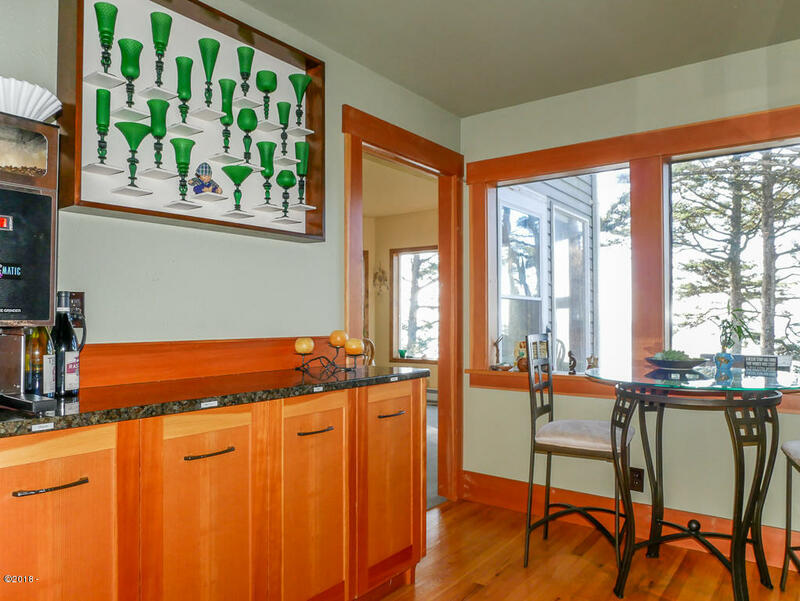 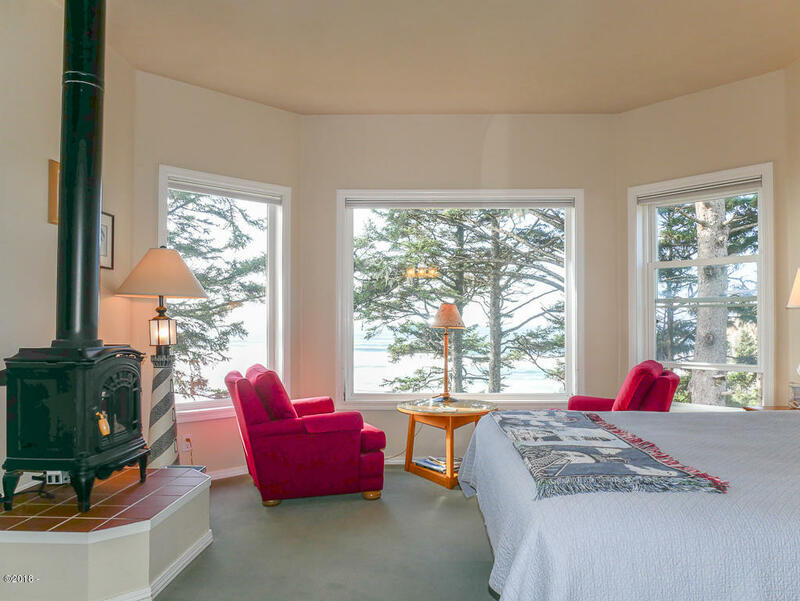 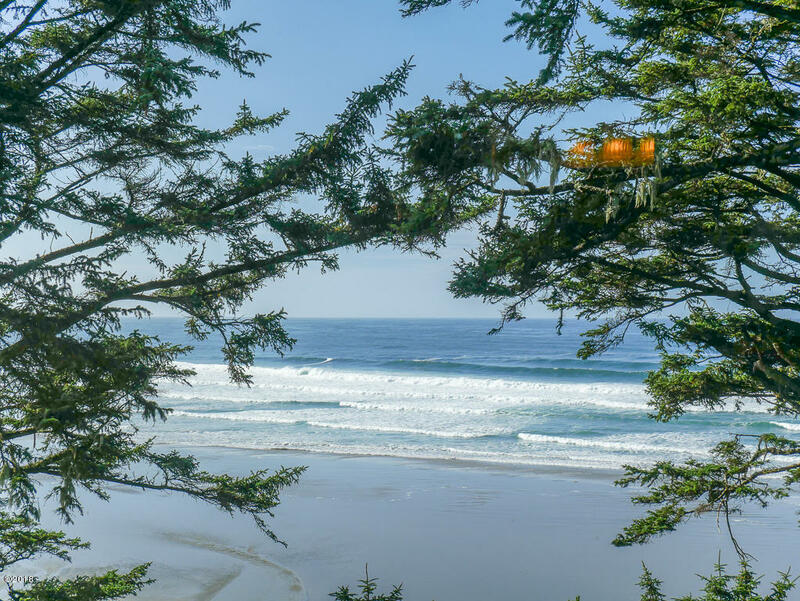 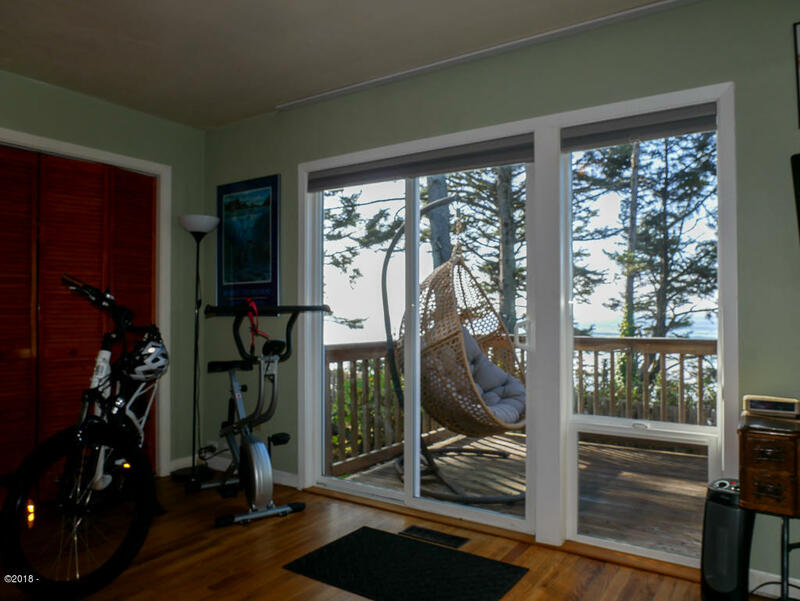 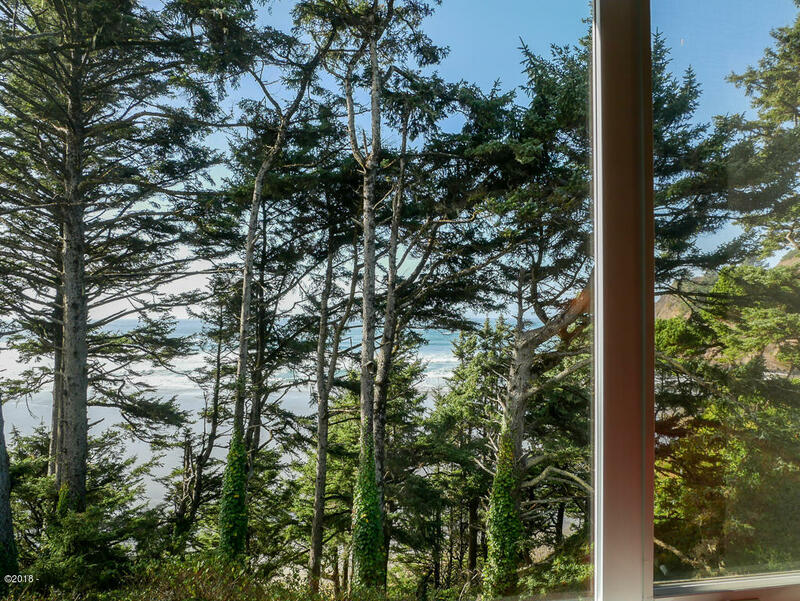 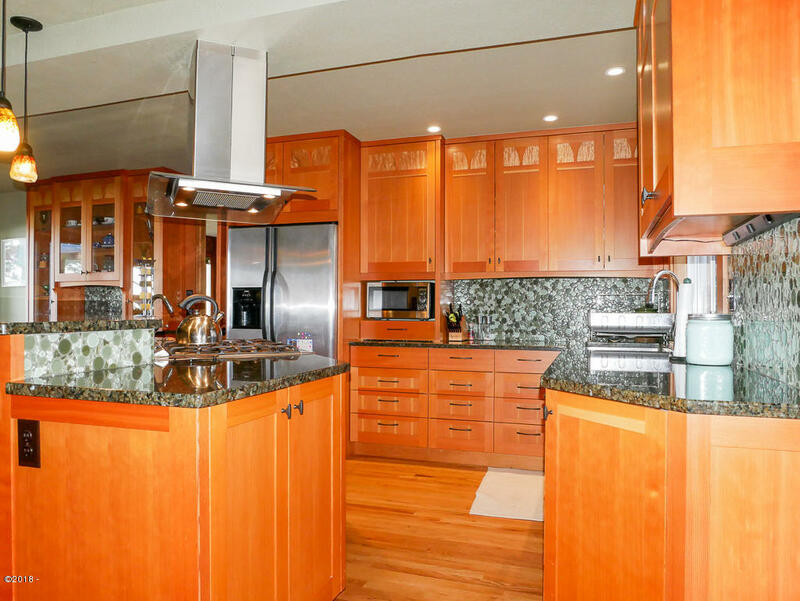 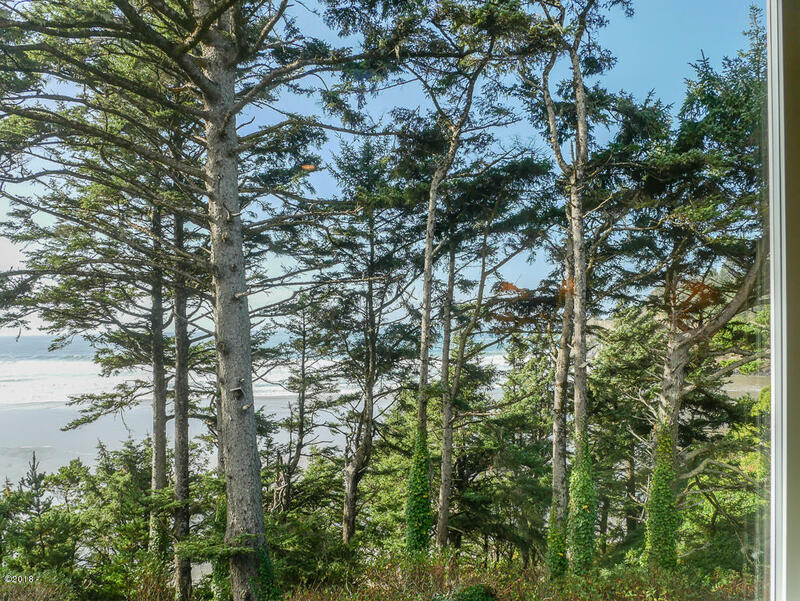 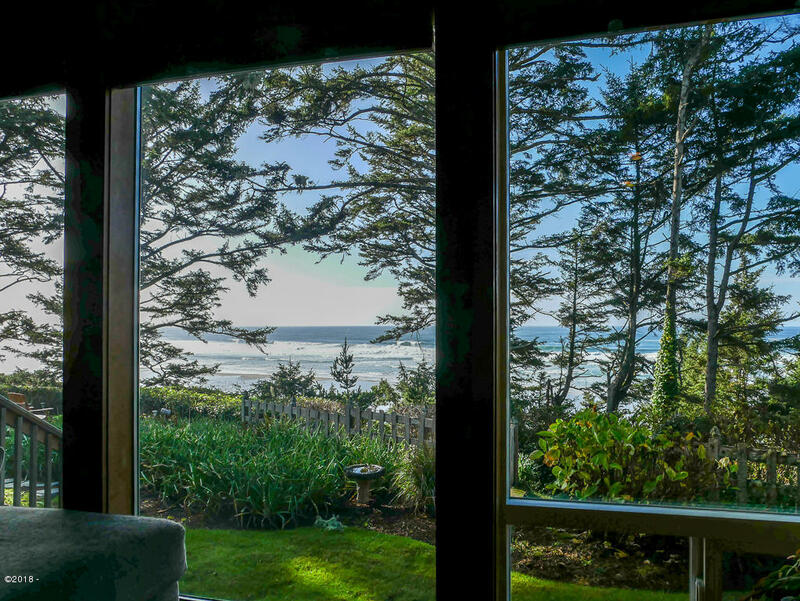 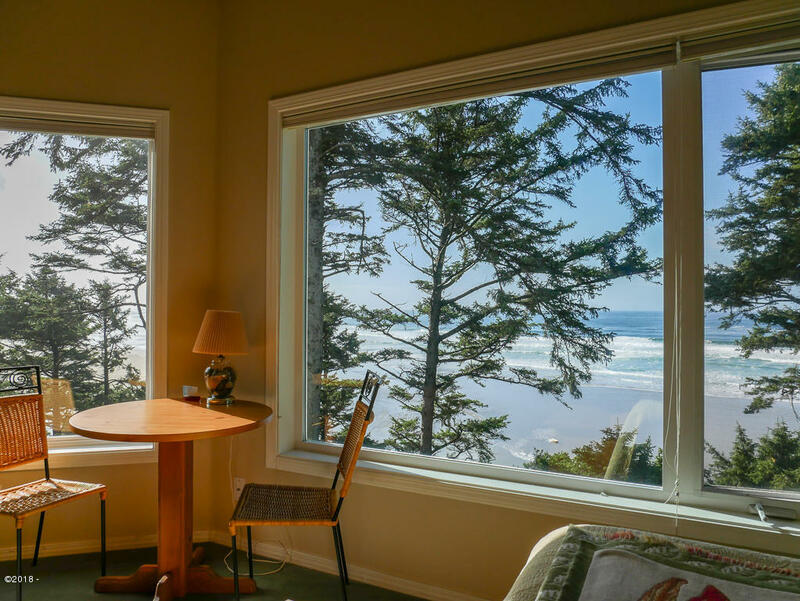 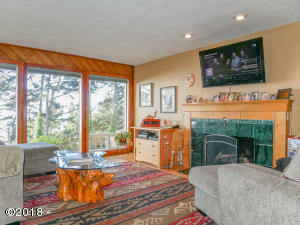 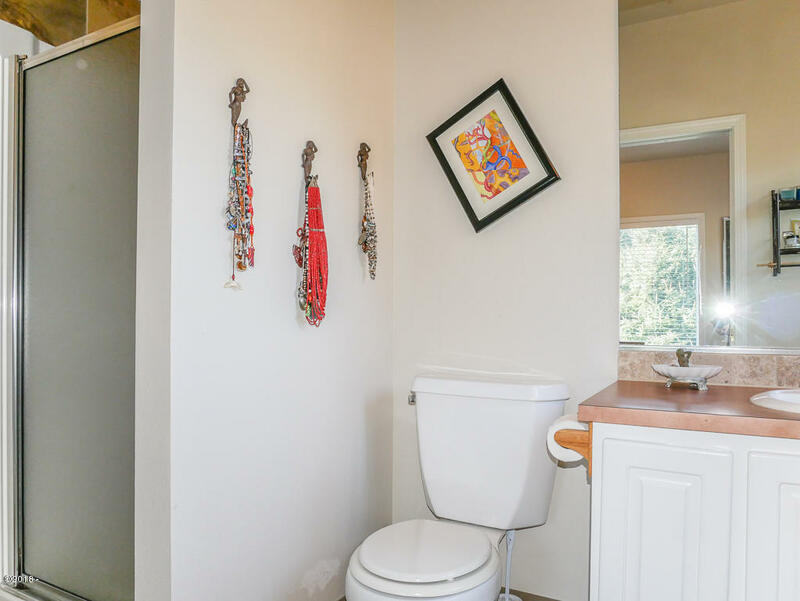 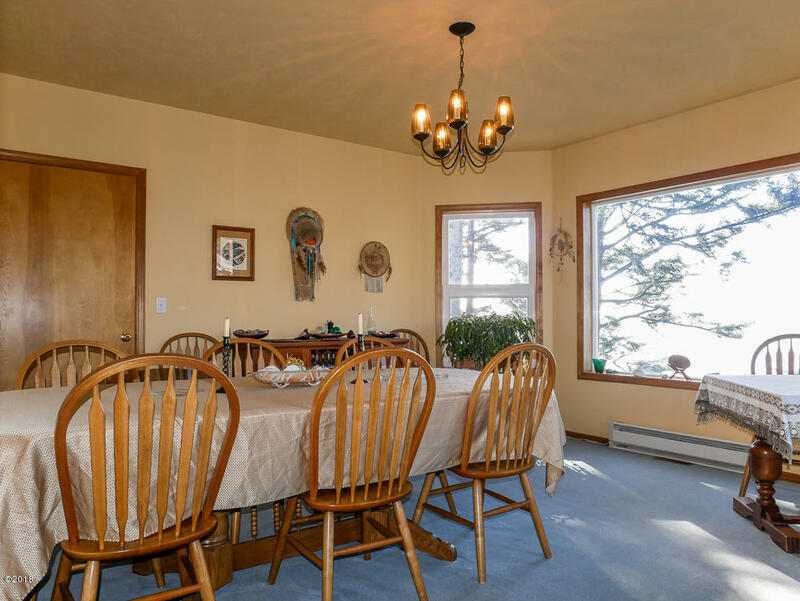 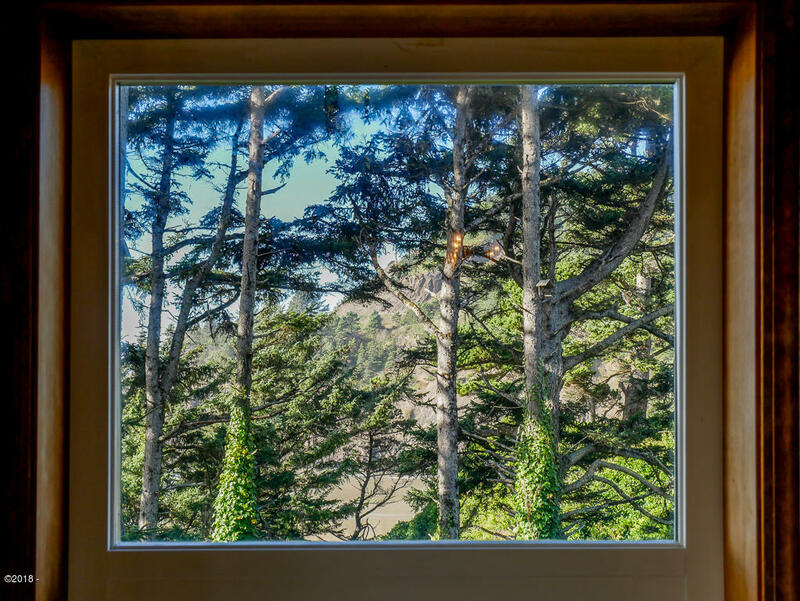 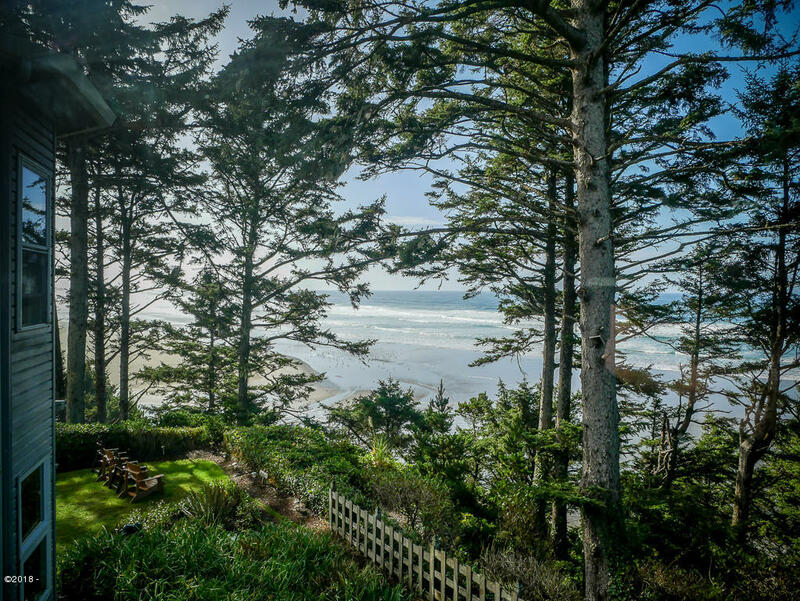 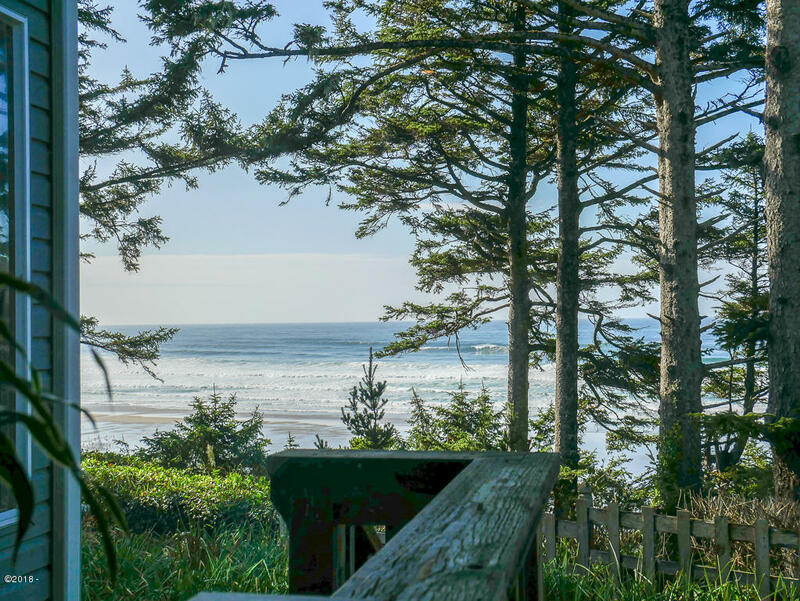 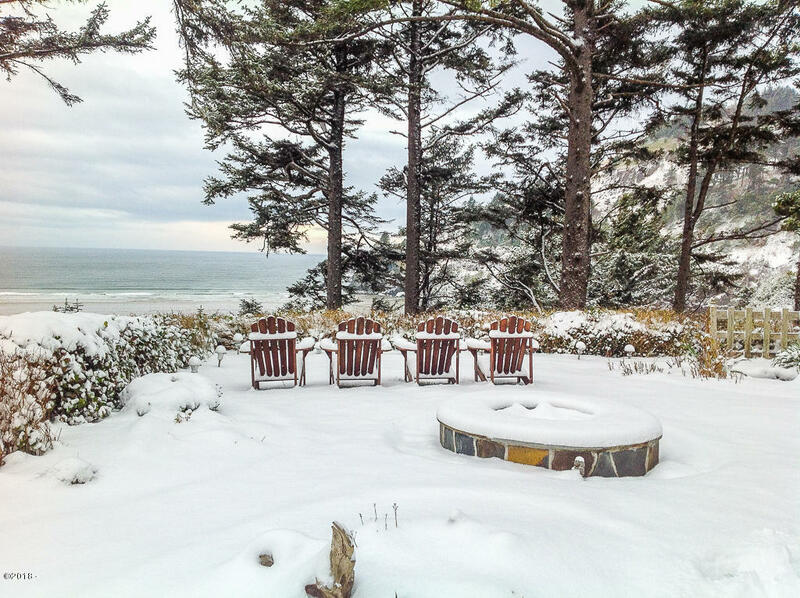 Rated a 5-star Bed and Breakfast with both TripAdvisor and Yelp, Tyee Lodge sits atop a wooded bluff overlooking the Pacific Ocean with a short trail to a secluded strip of beach. 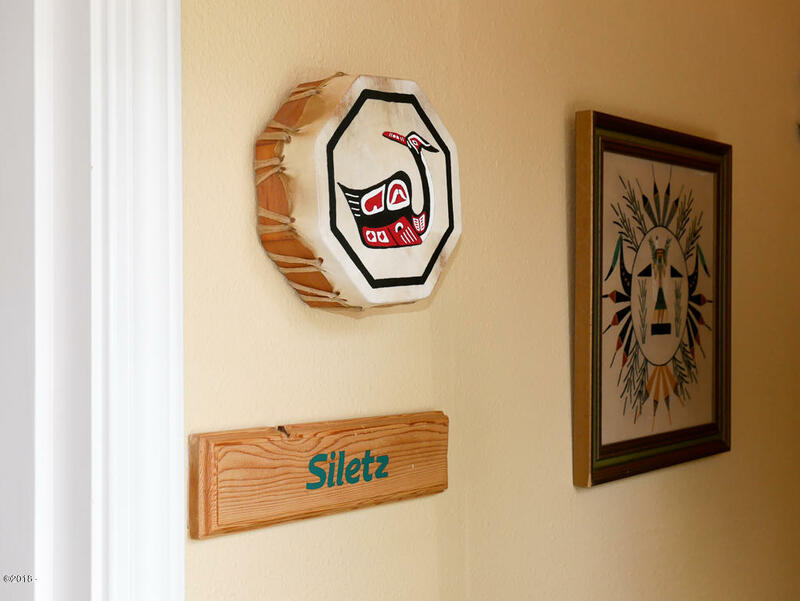 Northwest Native decor and unique artful touches adorn the Bed and Breakfast. 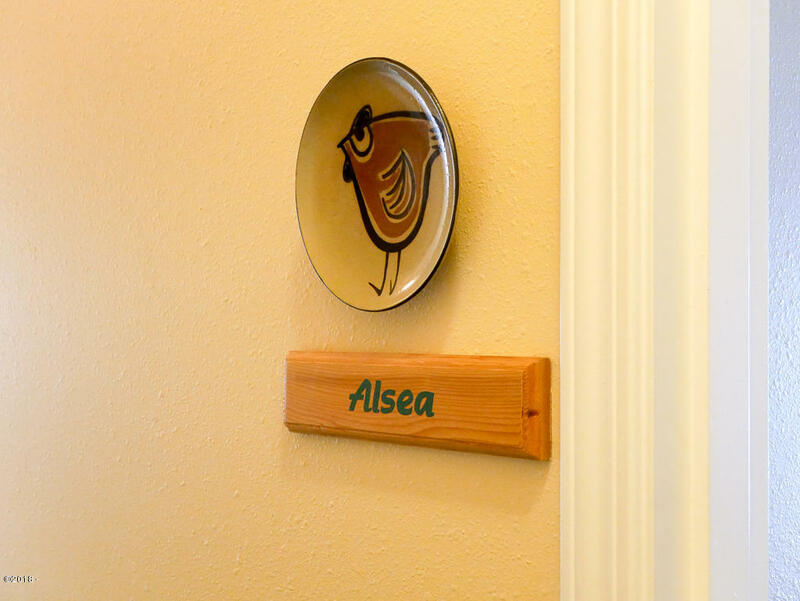 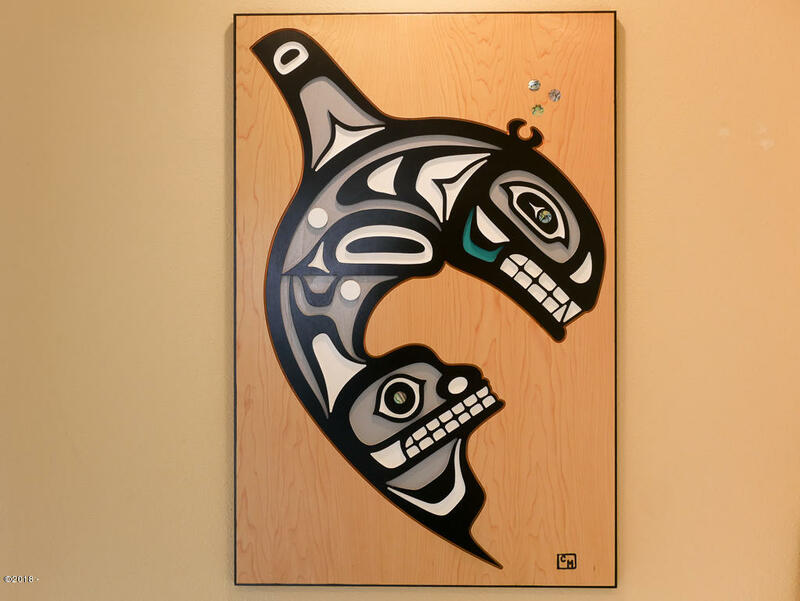 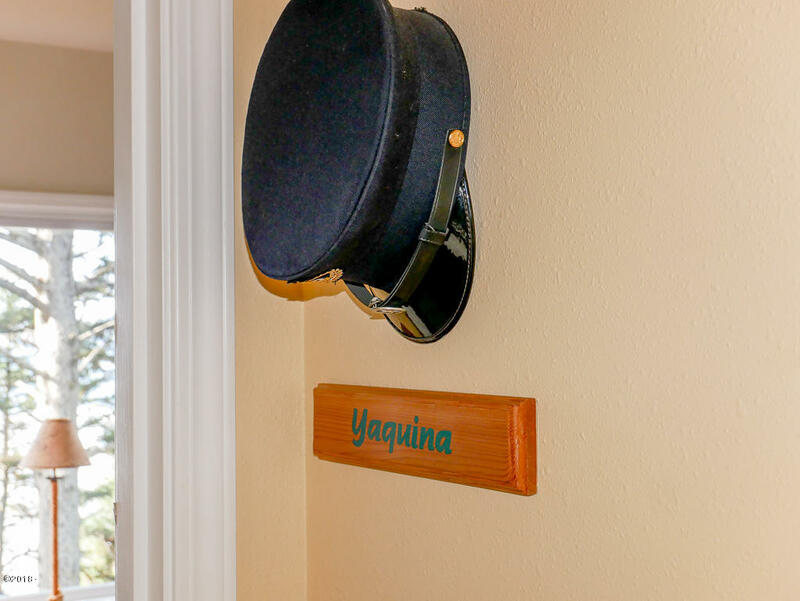 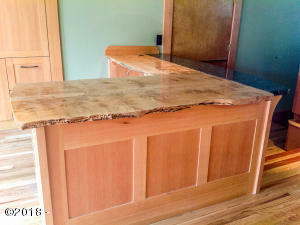 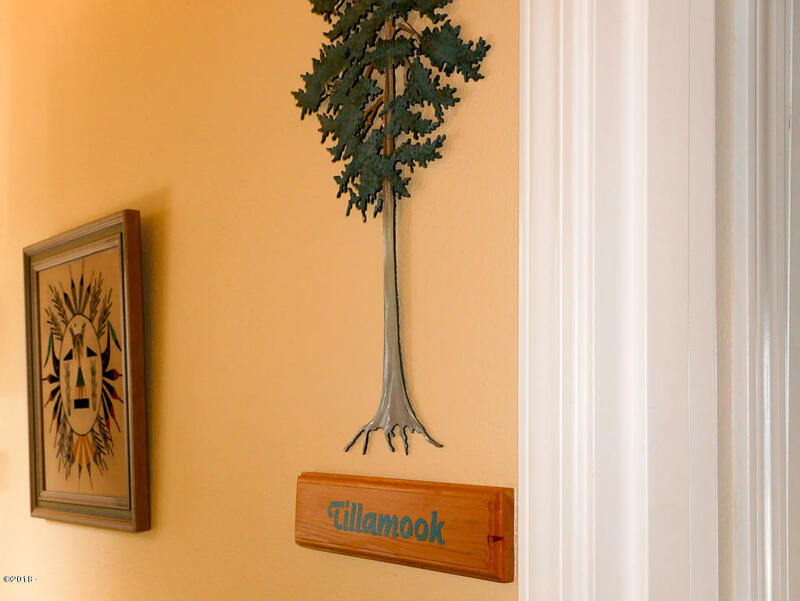 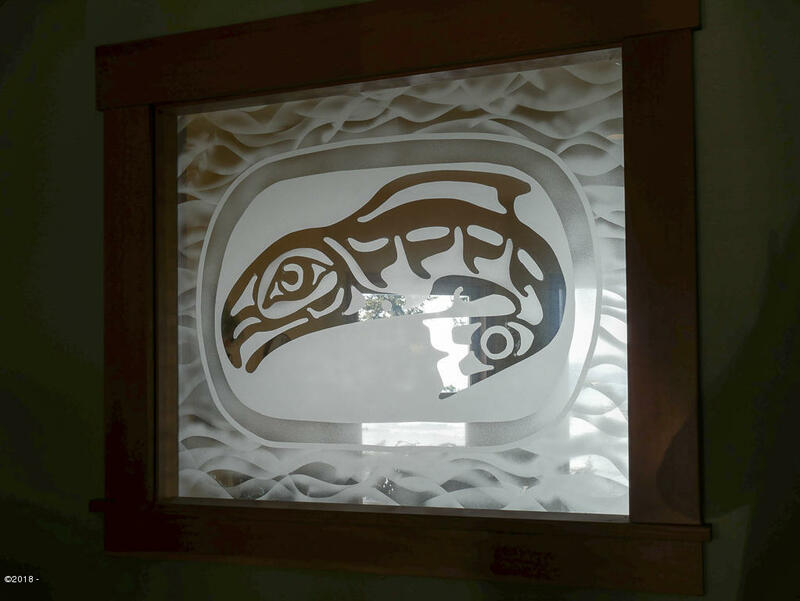 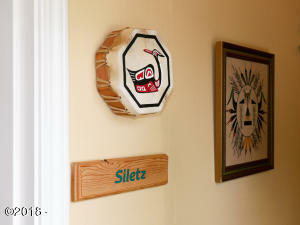 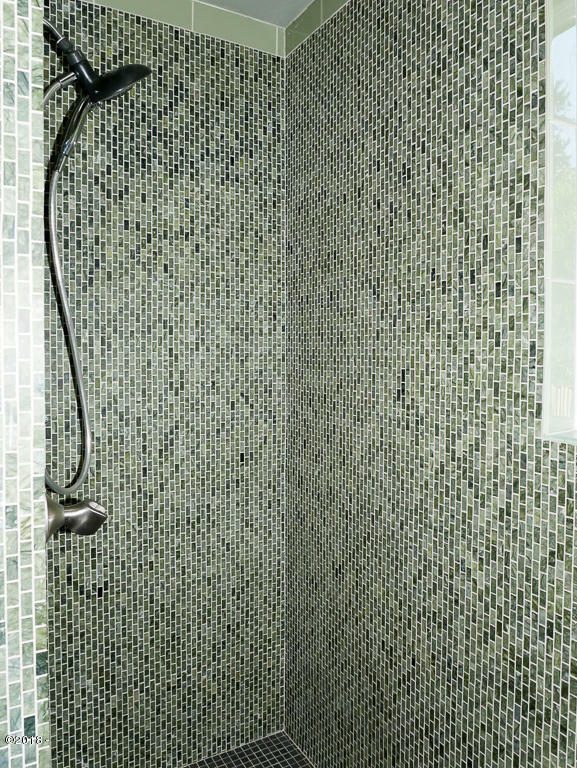 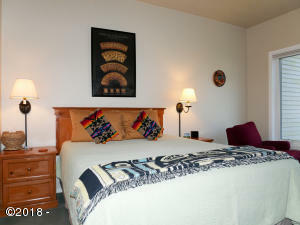 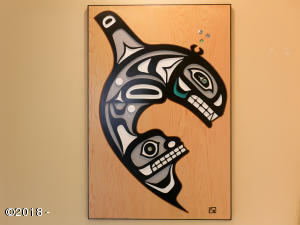 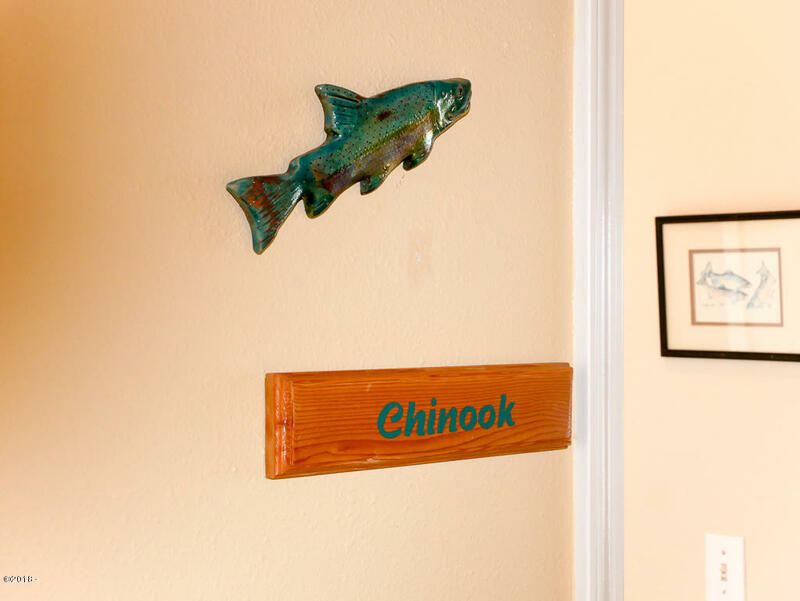 Five guest suites are each named for a Northwest Native tribe. 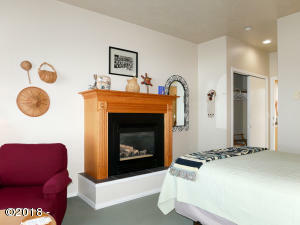 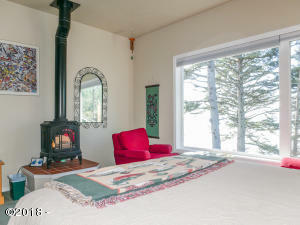 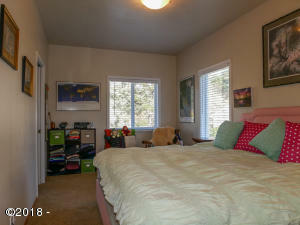 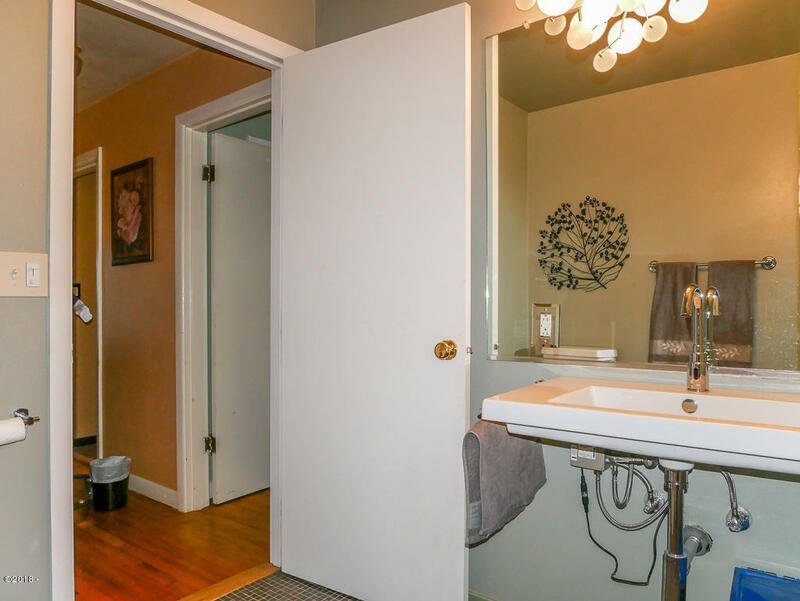 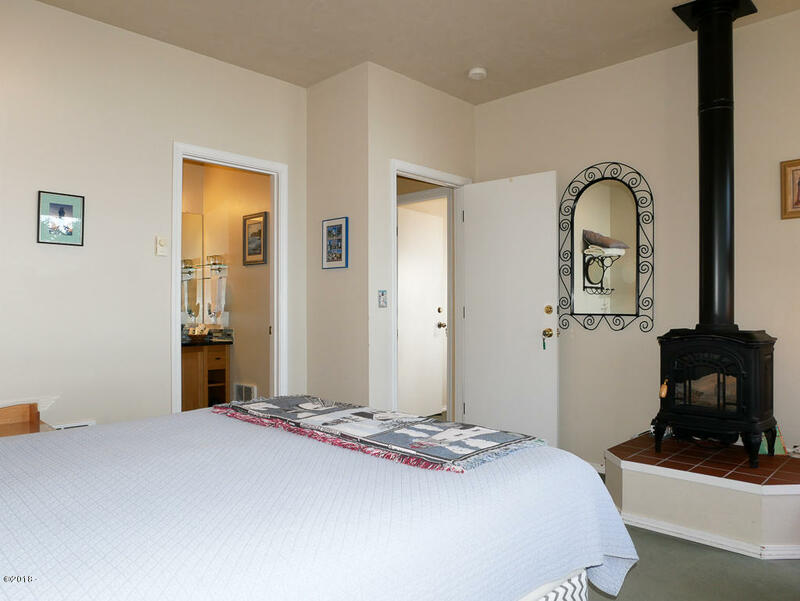 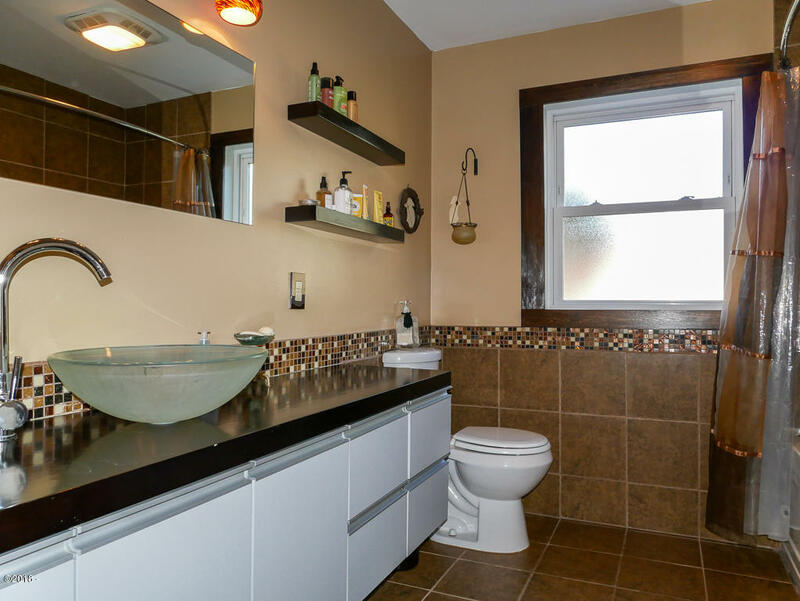 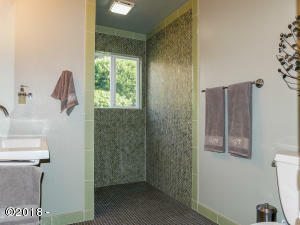 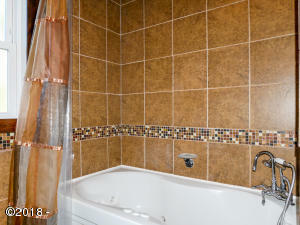 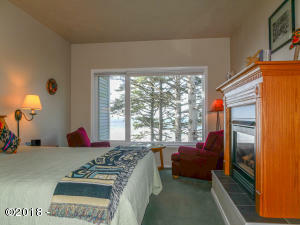 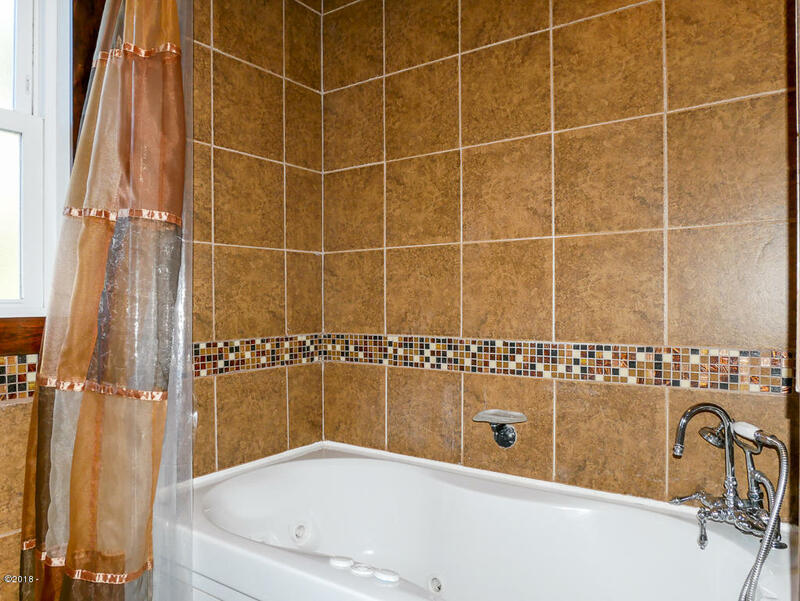 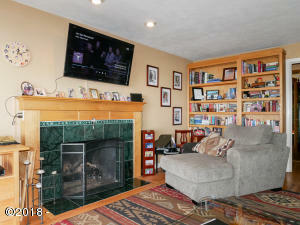 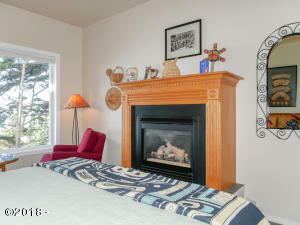 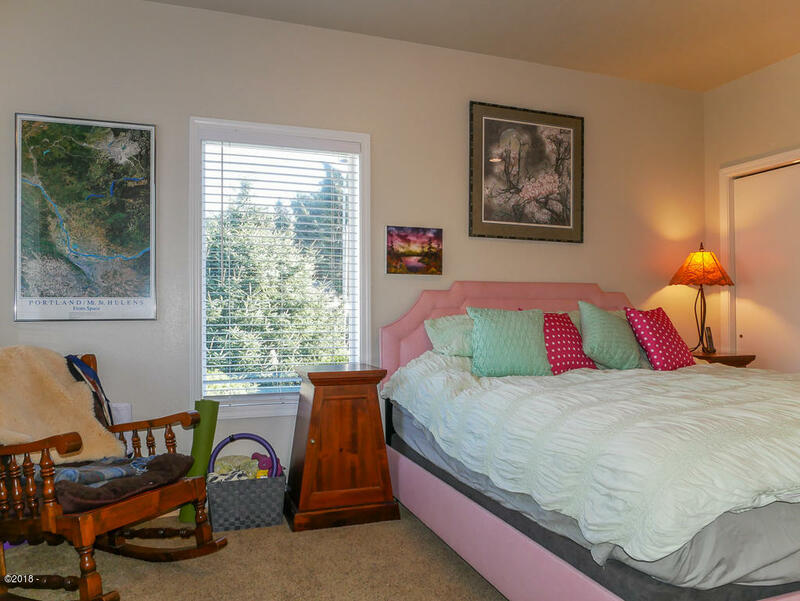 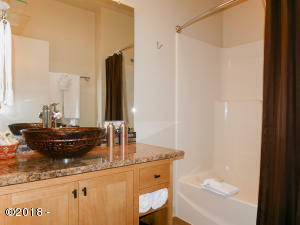 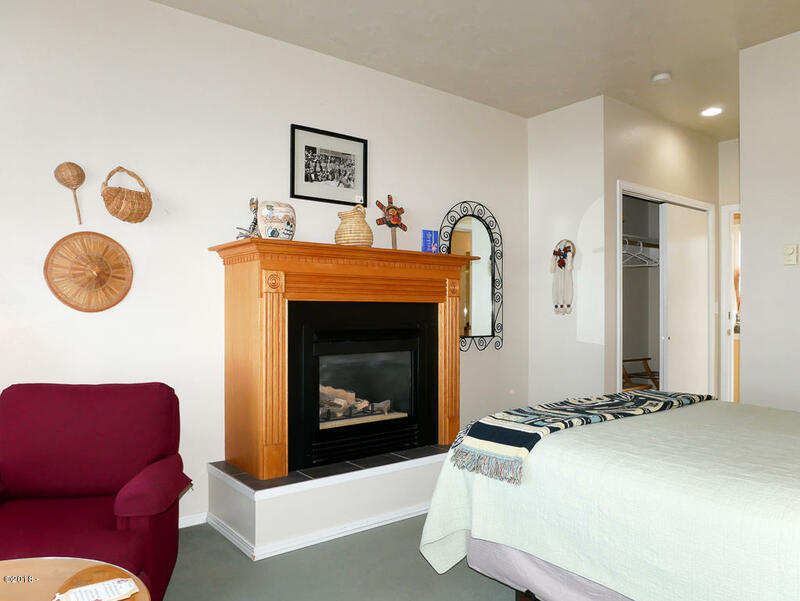 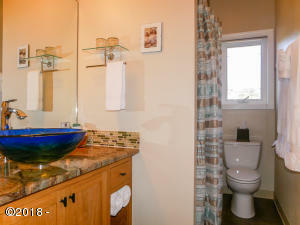 Each guest room has a queen bed, gas fireplace, sitting area and private bath. 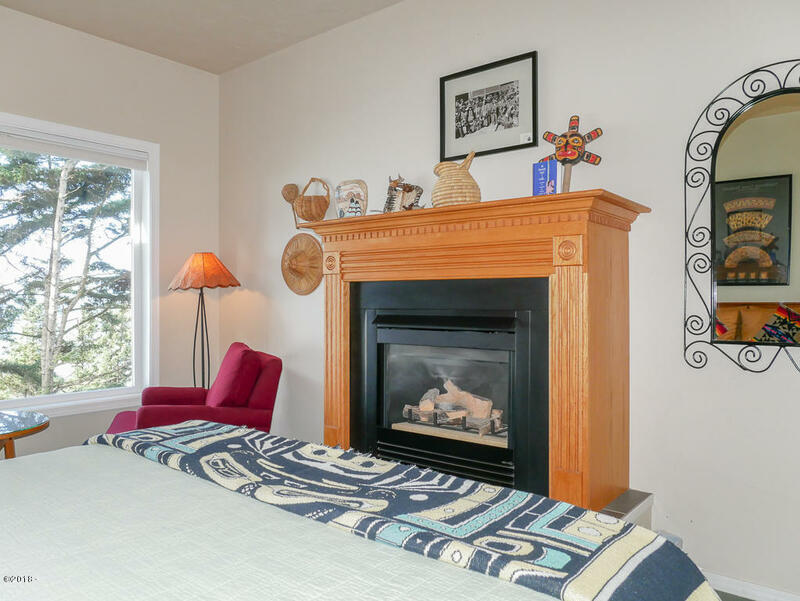 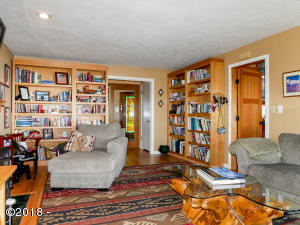 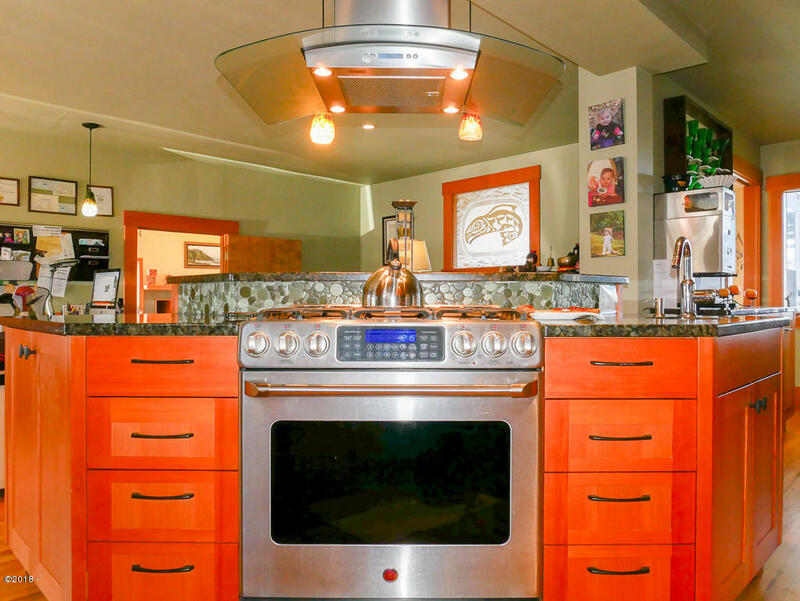 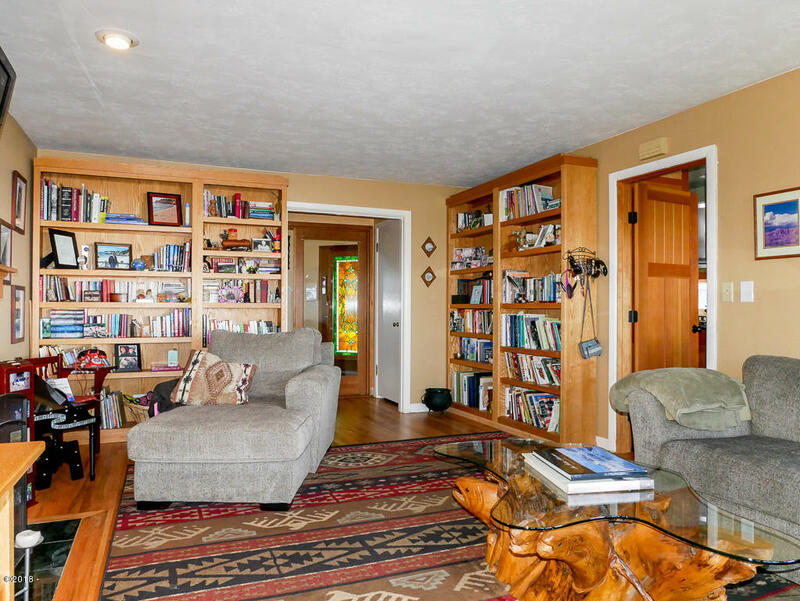 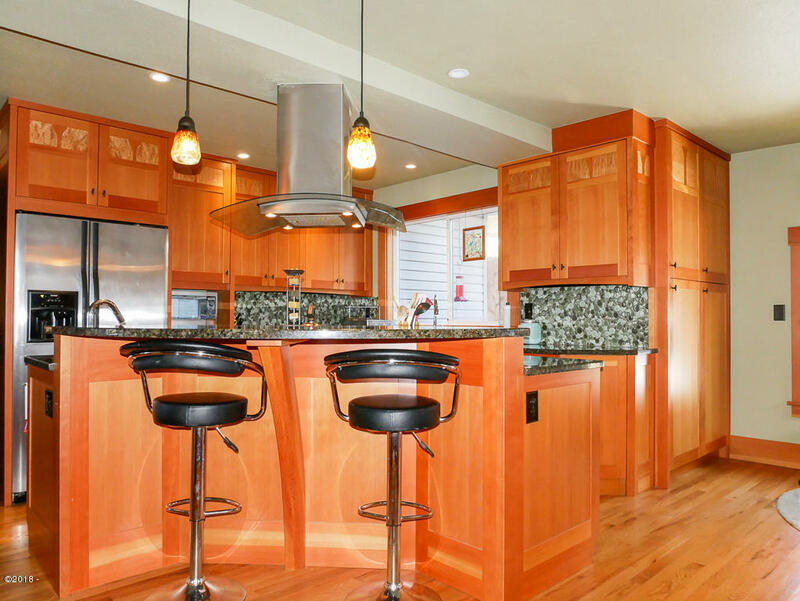 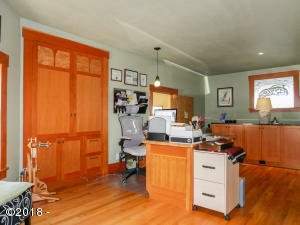 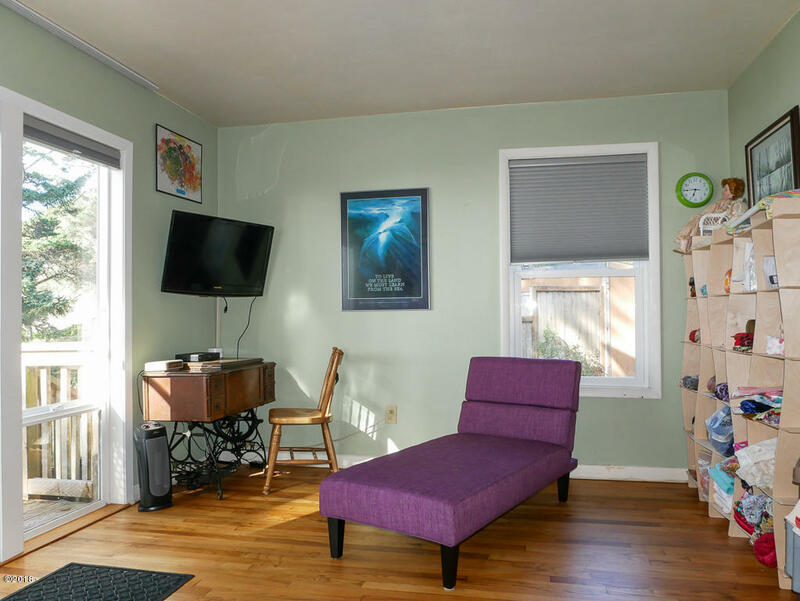 The Bed and Breakfast offers guests a living room with gas fireplace to relax in, formal dining room, wine/coffee/tea bar, outdoor fire pit, and peaceful gardens. 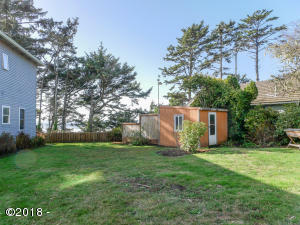 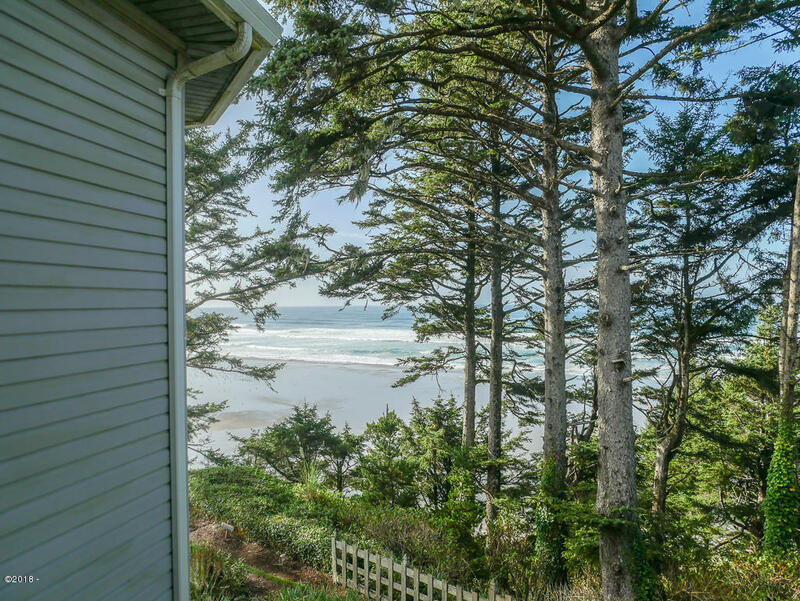 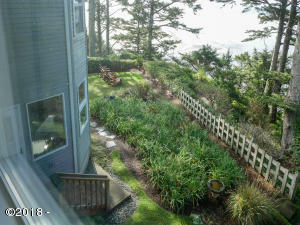 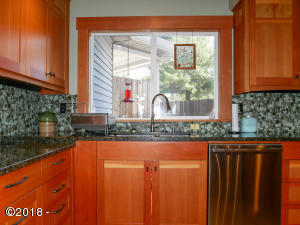 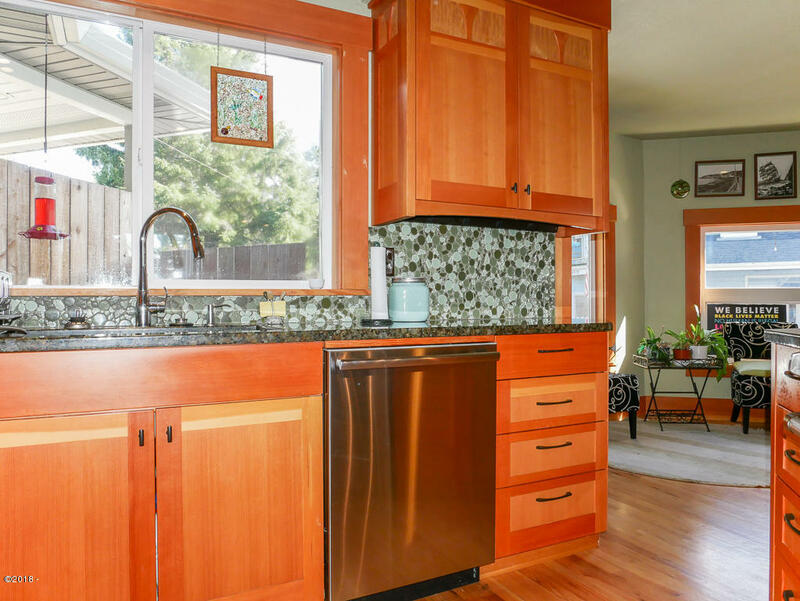 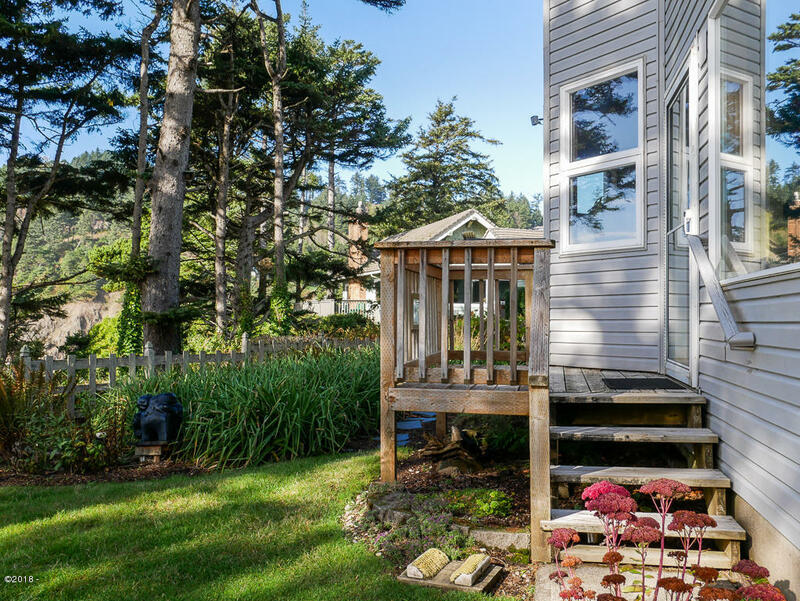 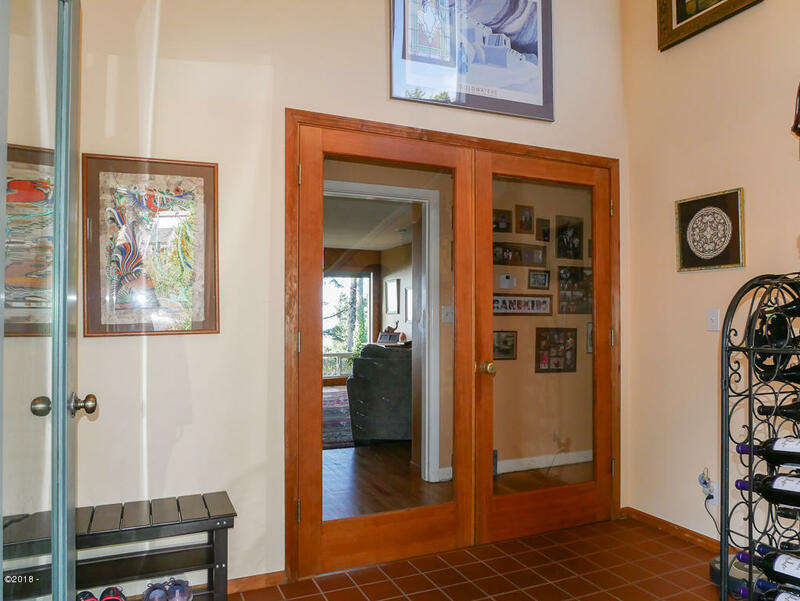 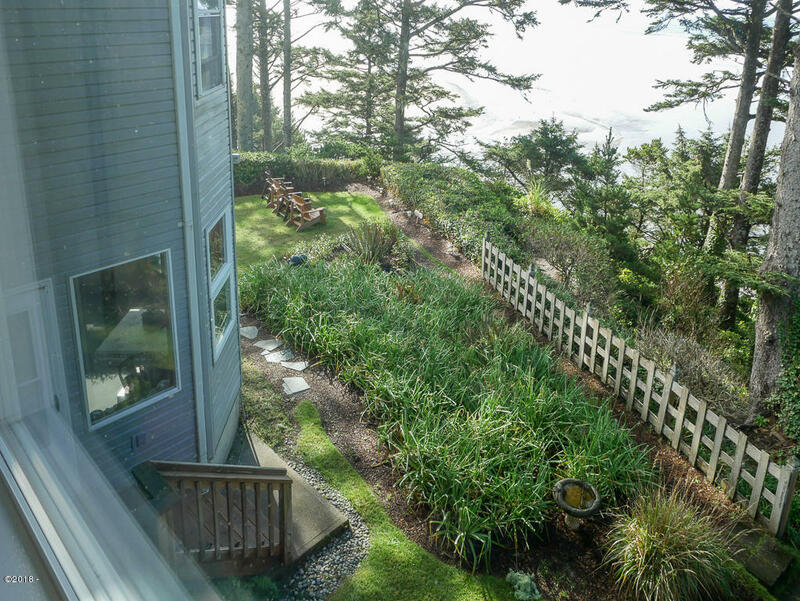 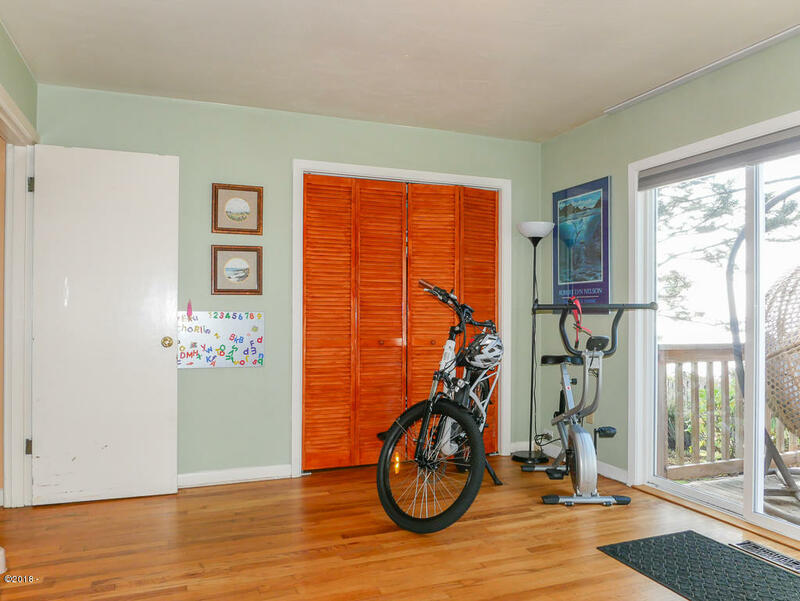 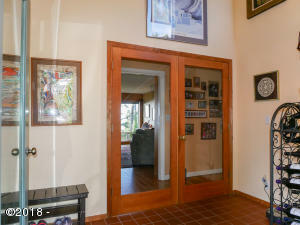 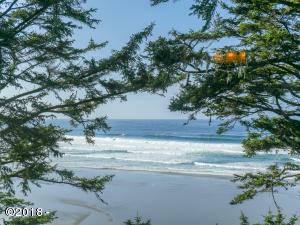 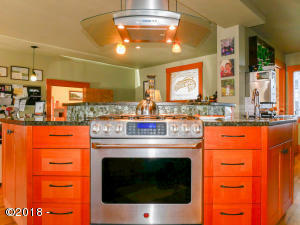 Close to the Yaquina Head Natural Area, restaurants, shopping, Historic Bay Front, surfing, crabbing, fishing, and much more!